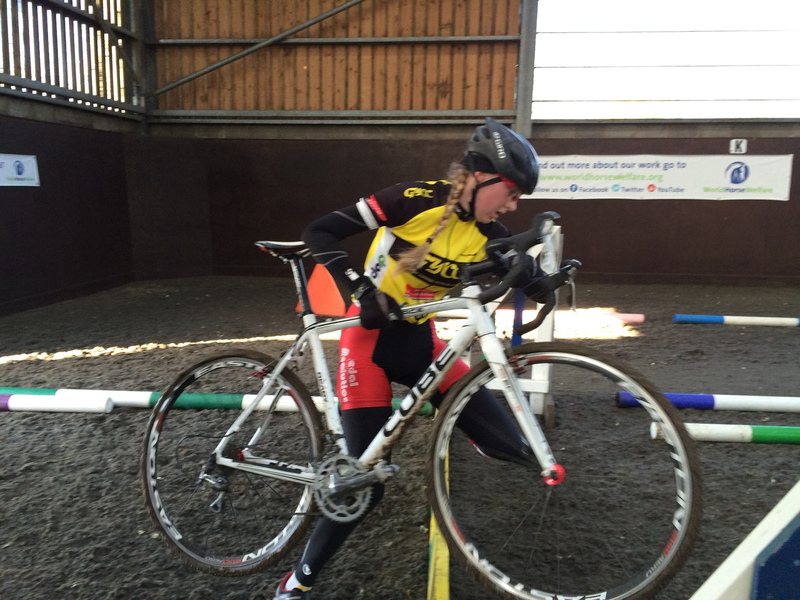 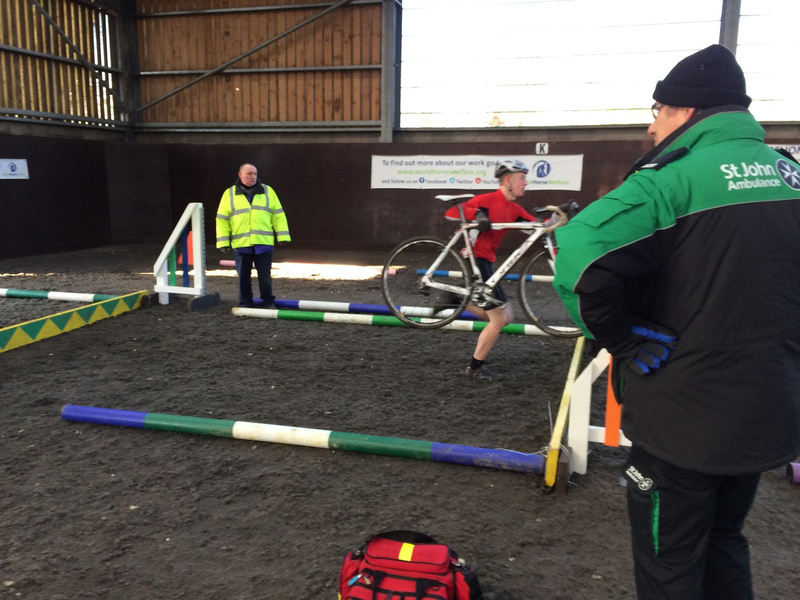 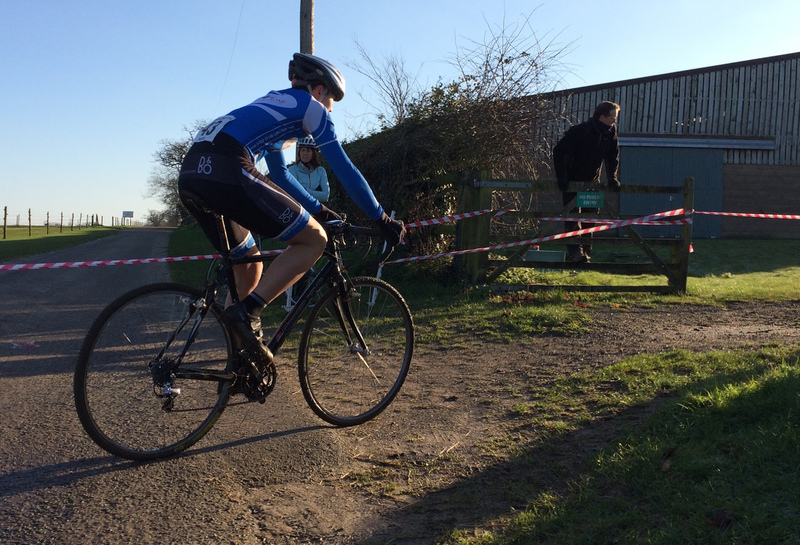 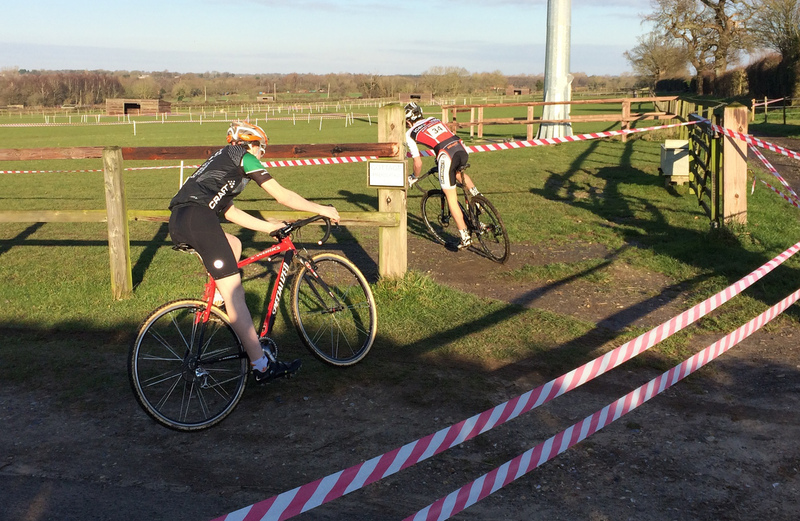 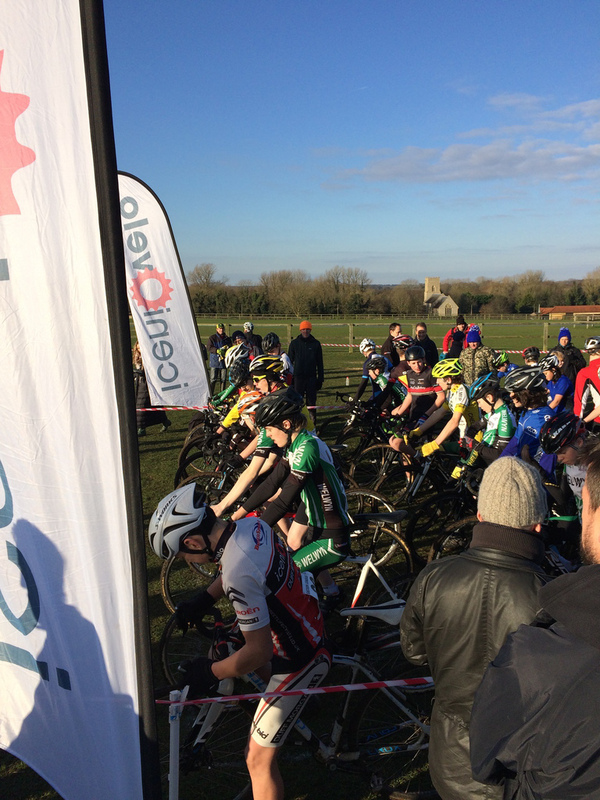 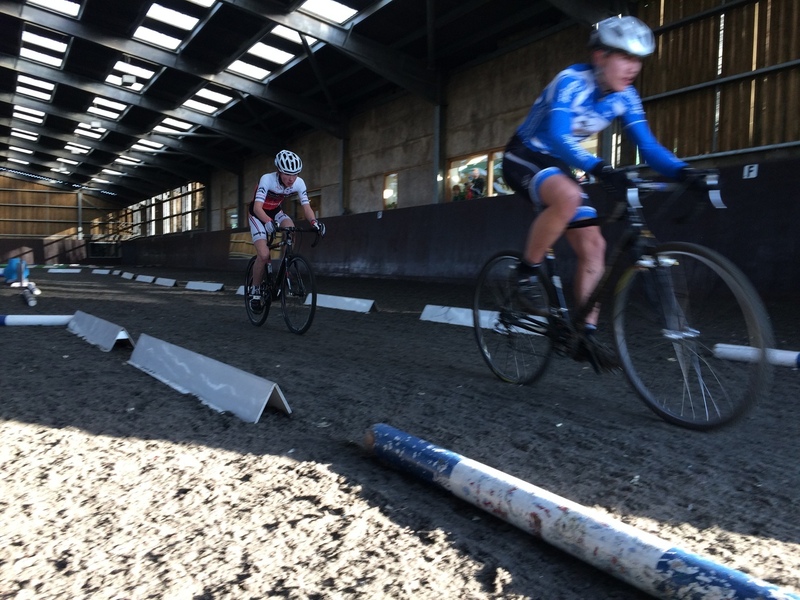 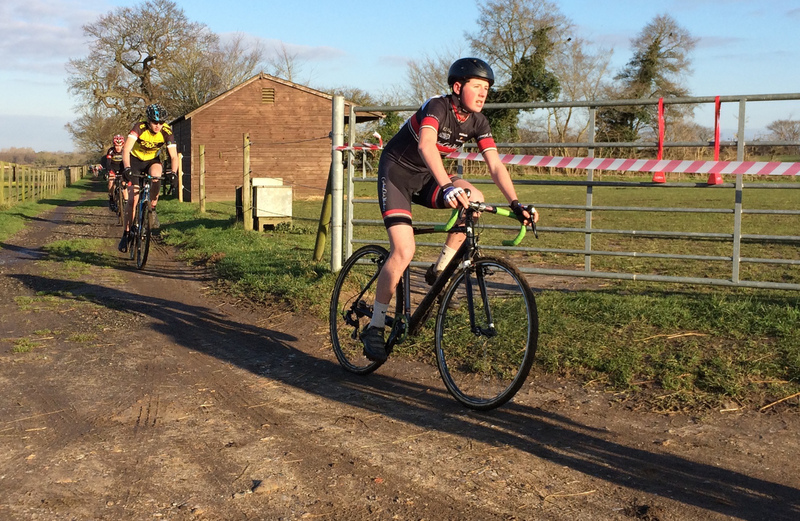 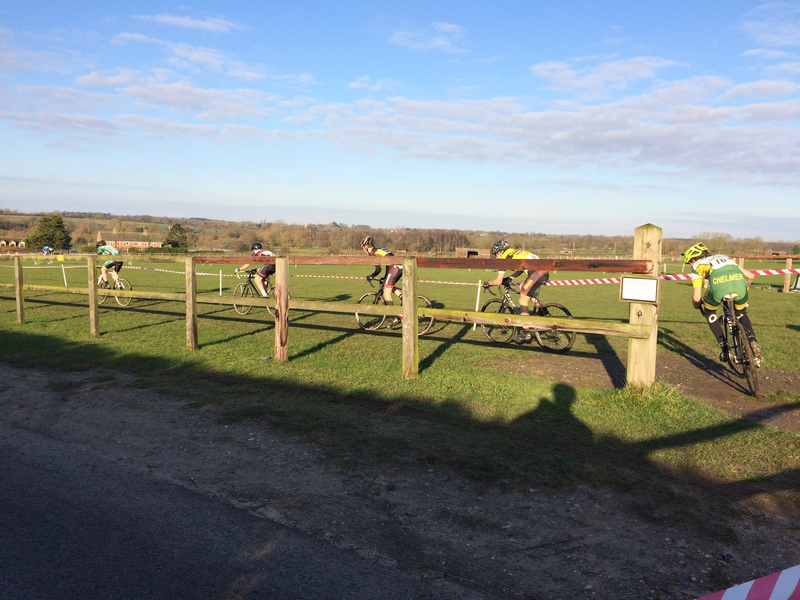 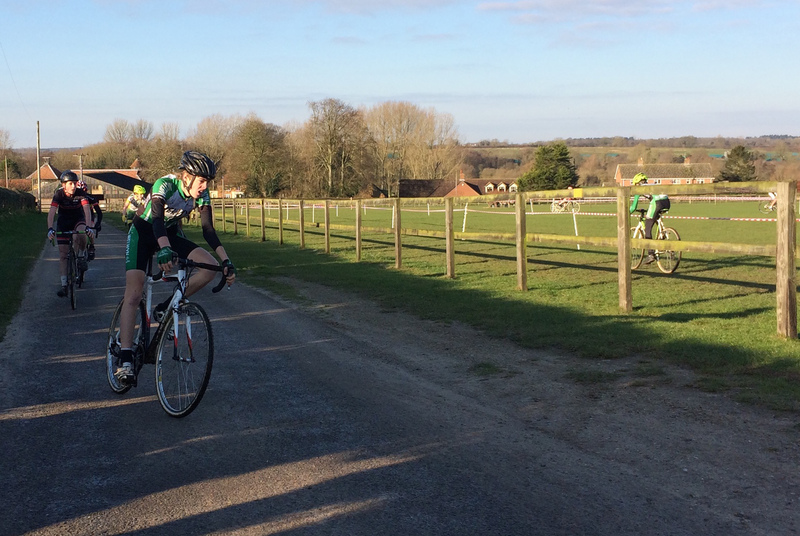 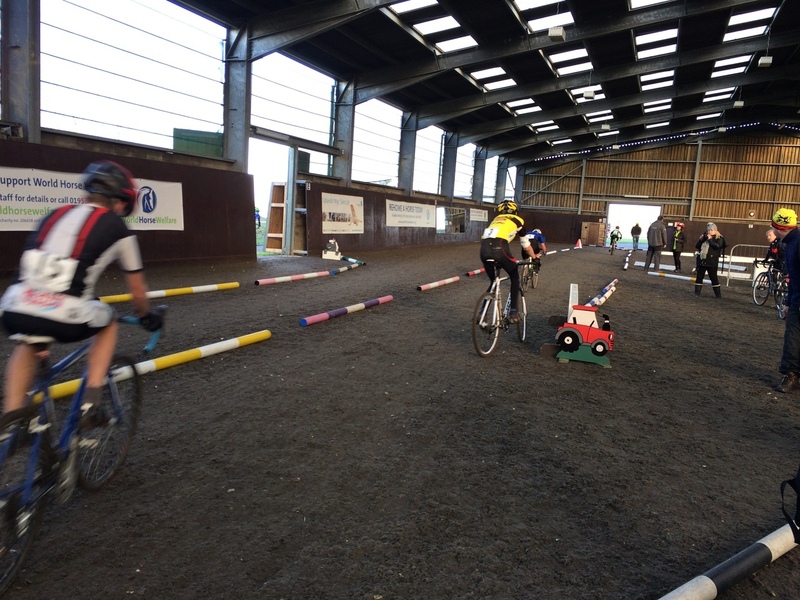 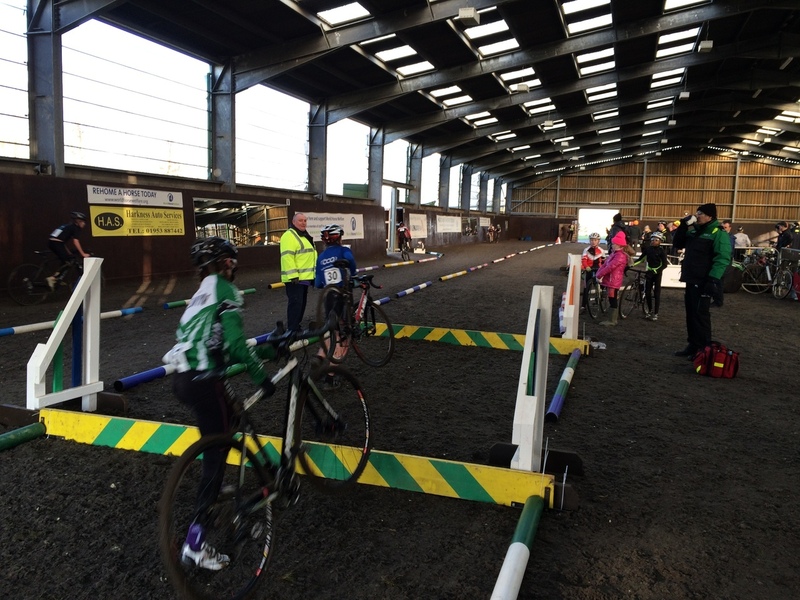 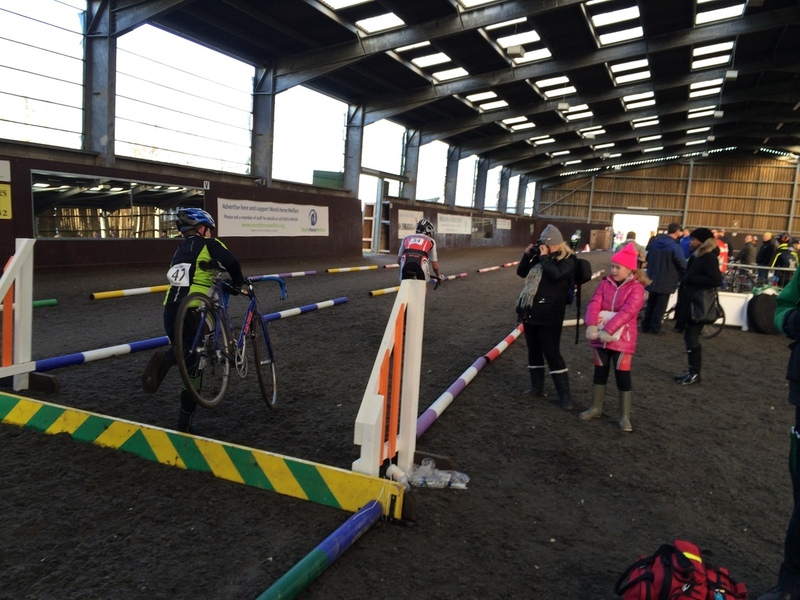 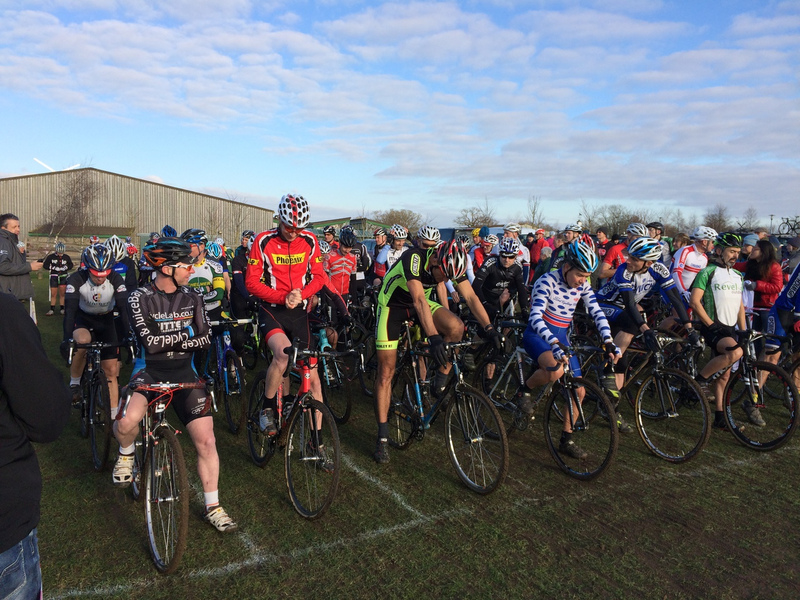 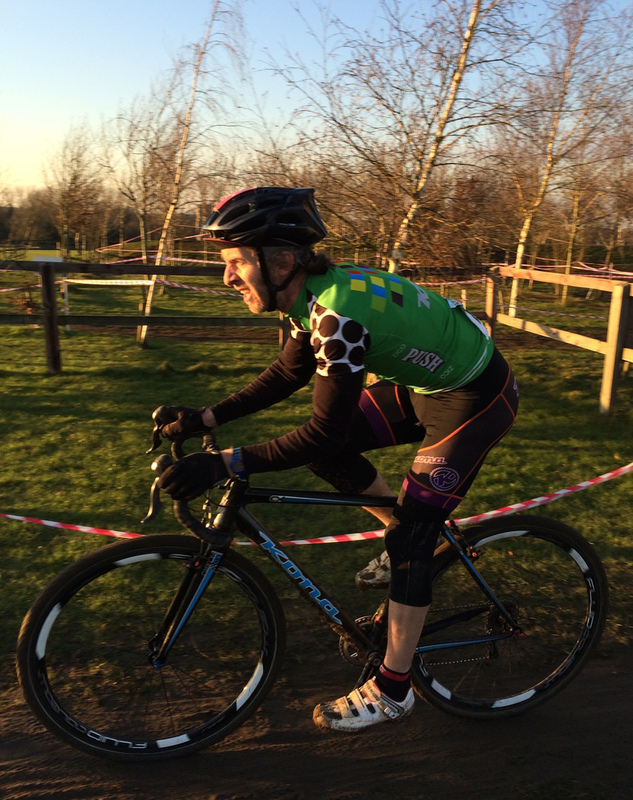 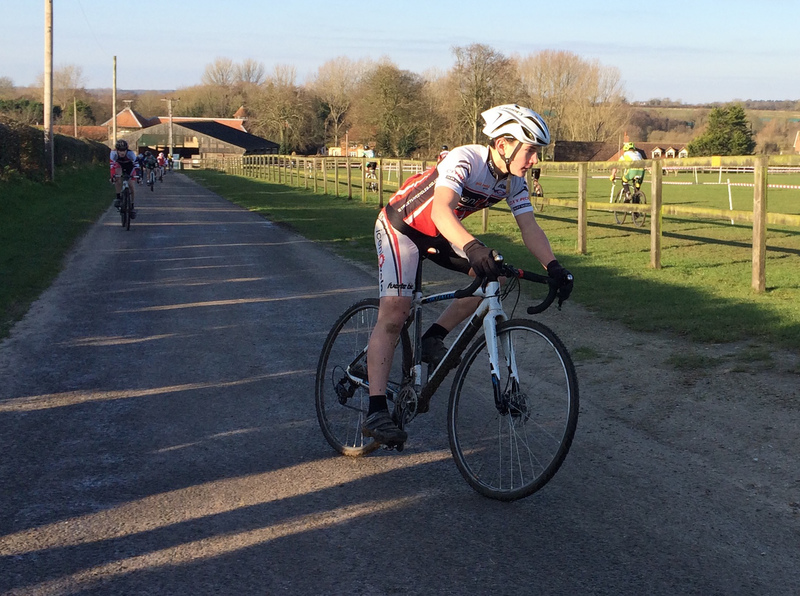 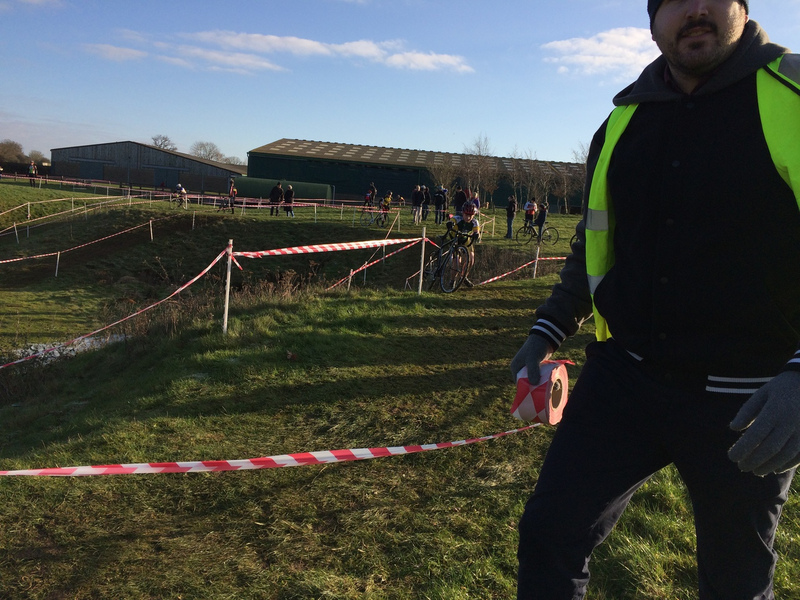 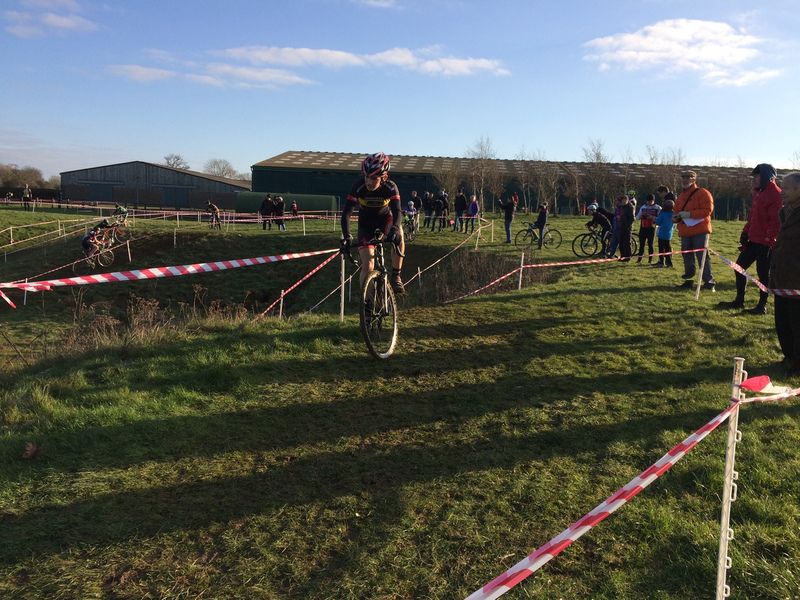 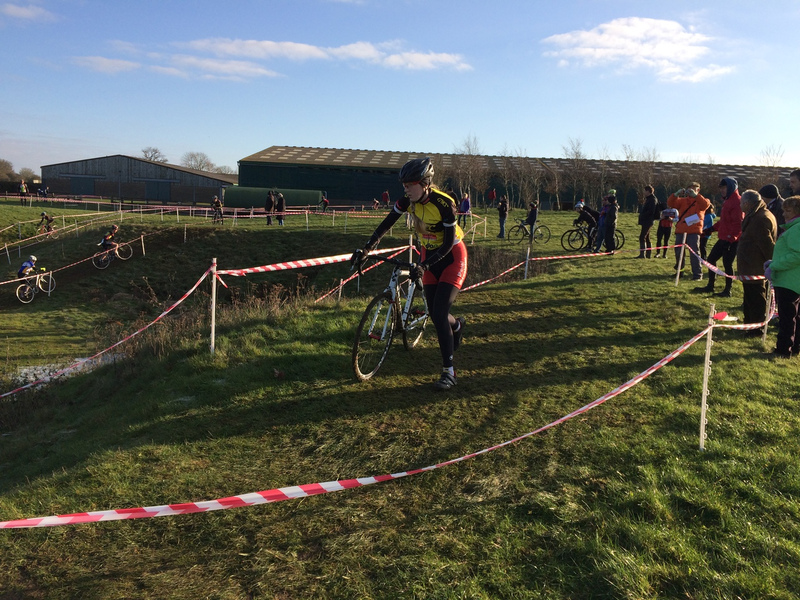 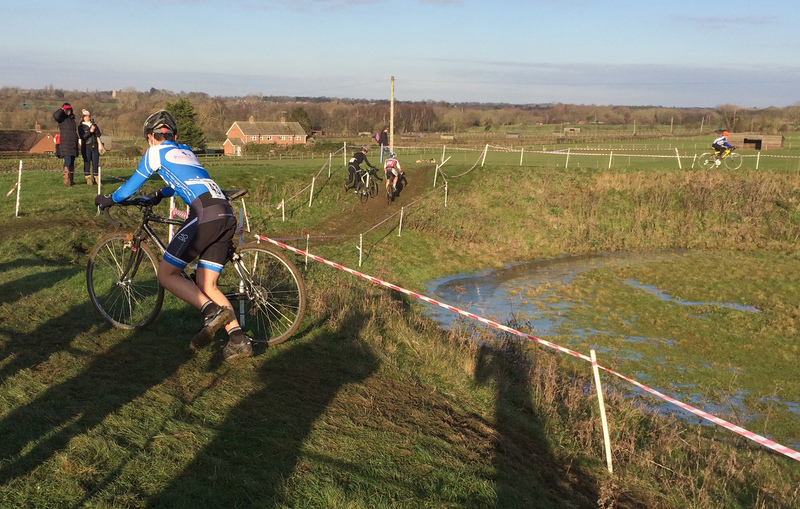 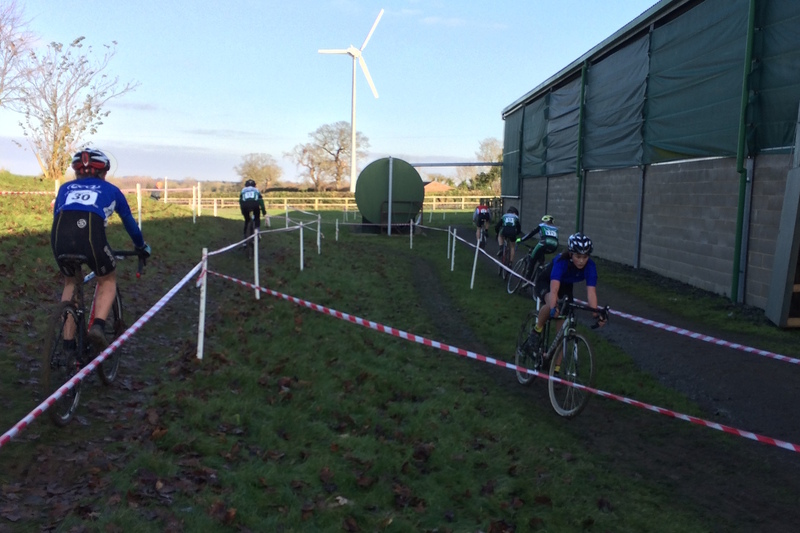 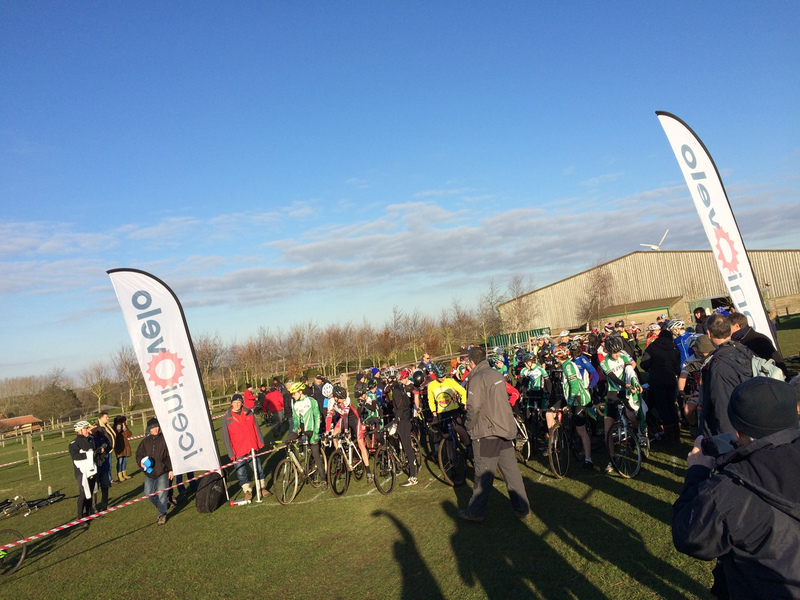 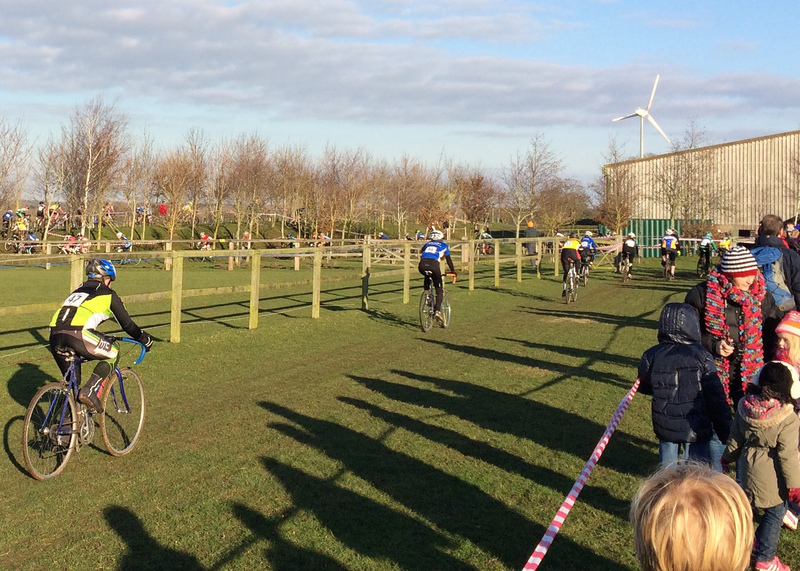 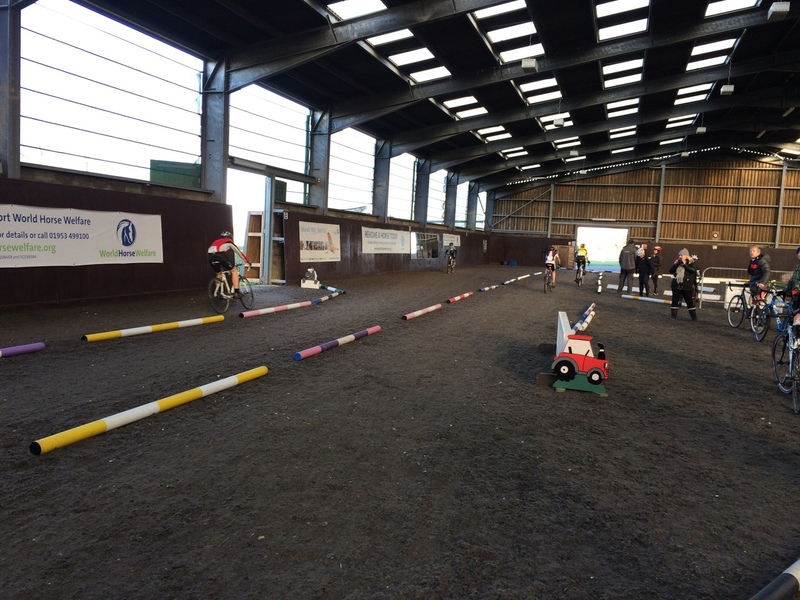 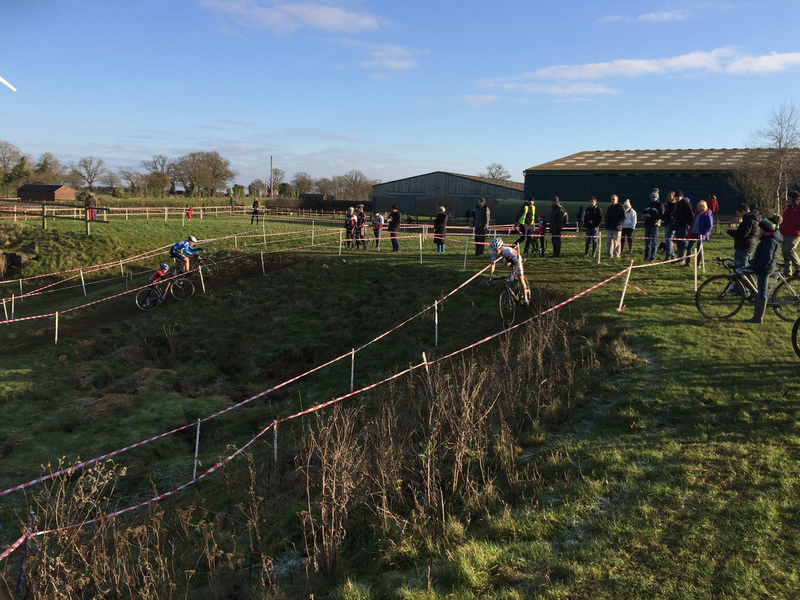 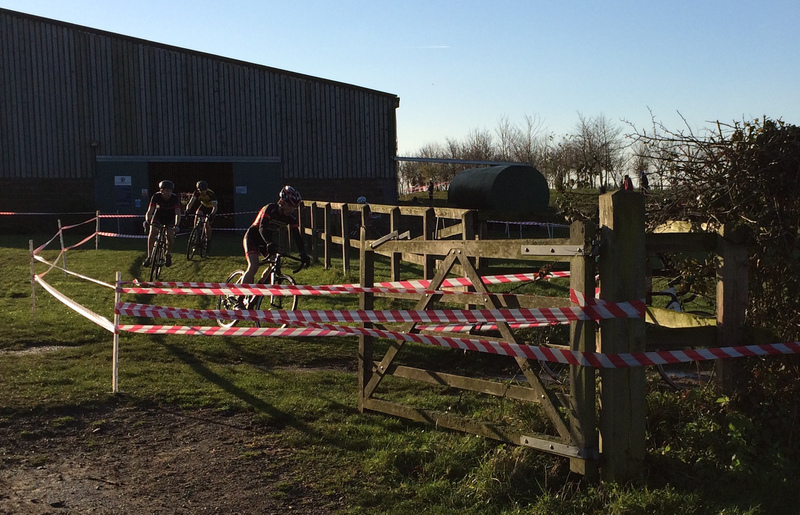 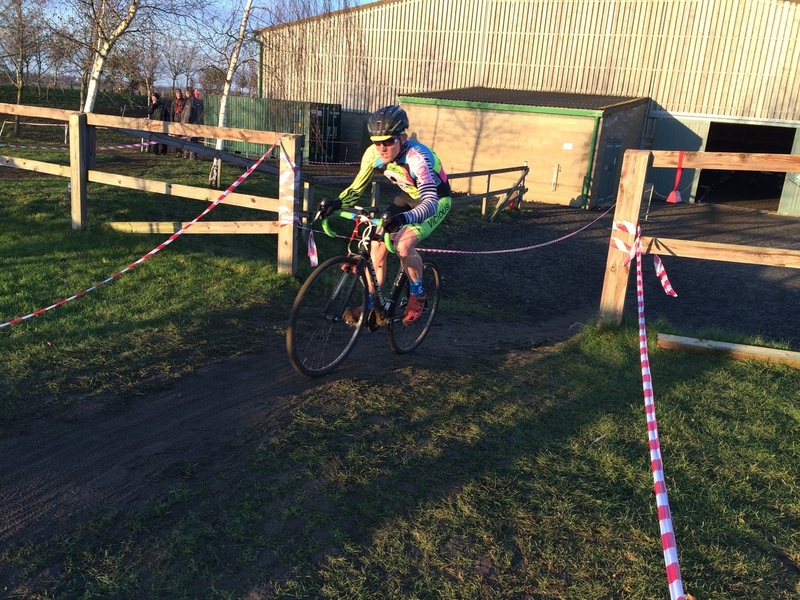 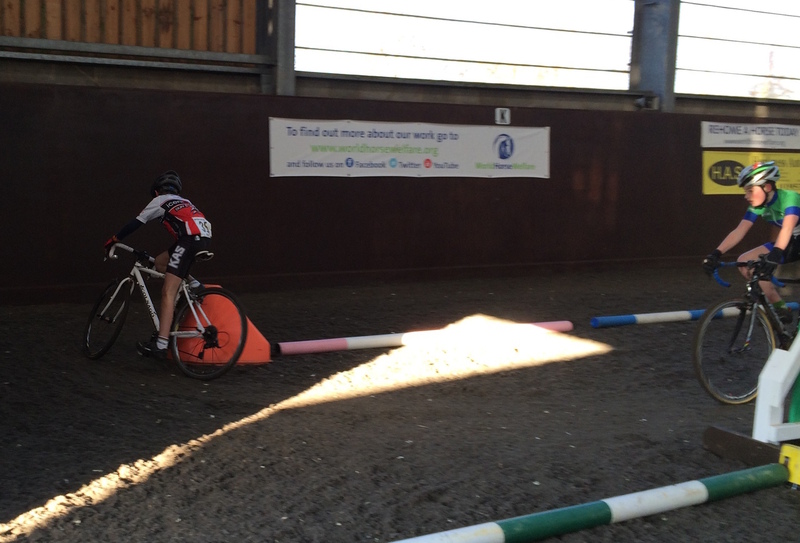 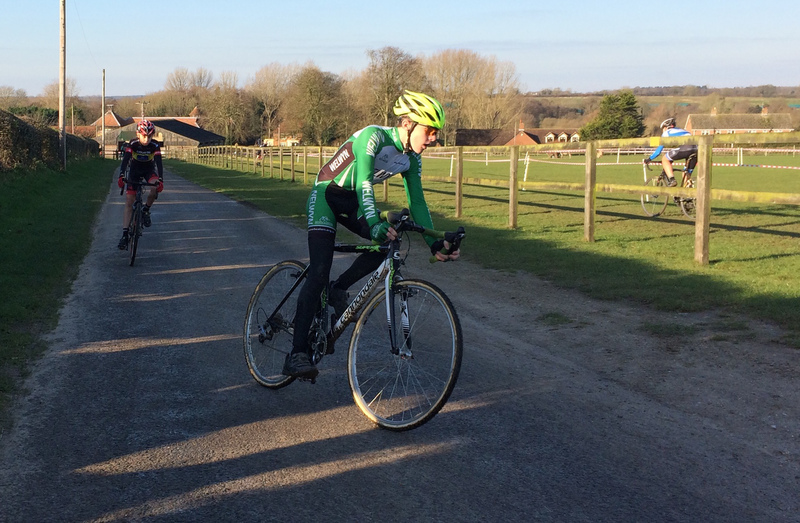 It was back to the arena and bomb hole for the end of year Chris Cross event hosted by Iceni Velo. 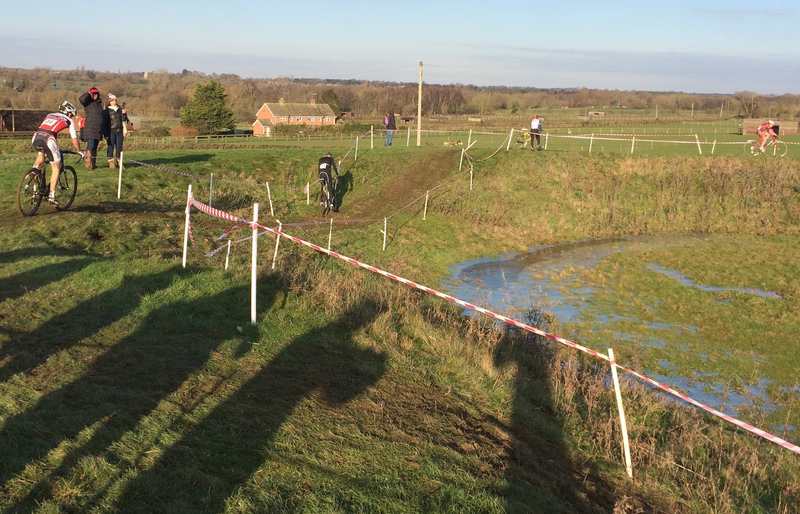 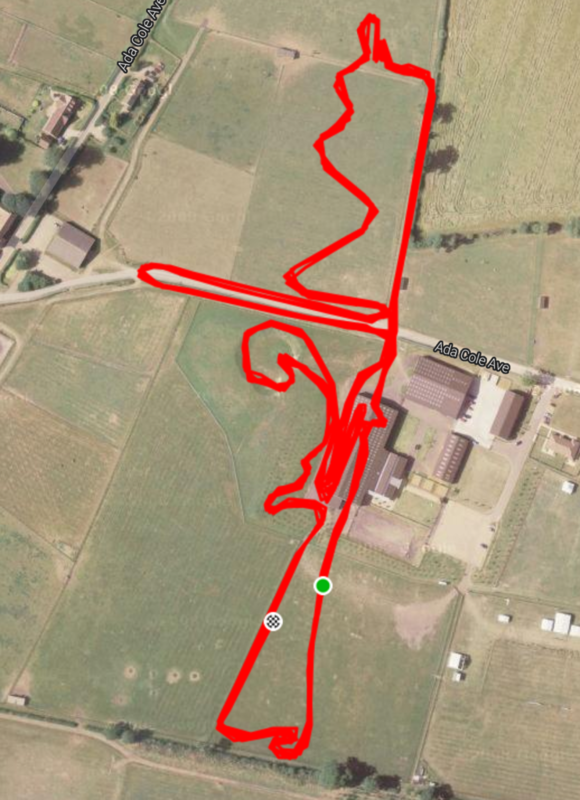 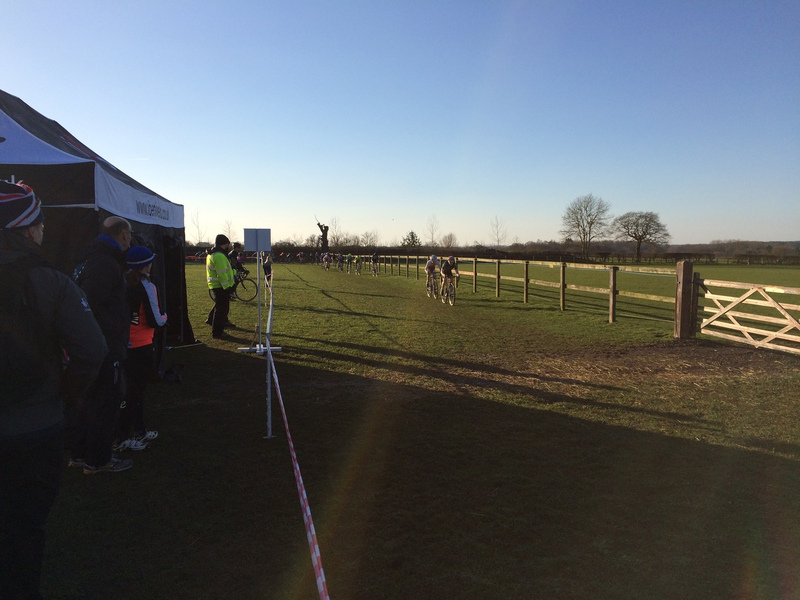 Recent heavy rain turned the grass to mud in places, especially in the switchback zone, but light winds with a clear blue sky meant that the course wouldn't deteriorate too much. 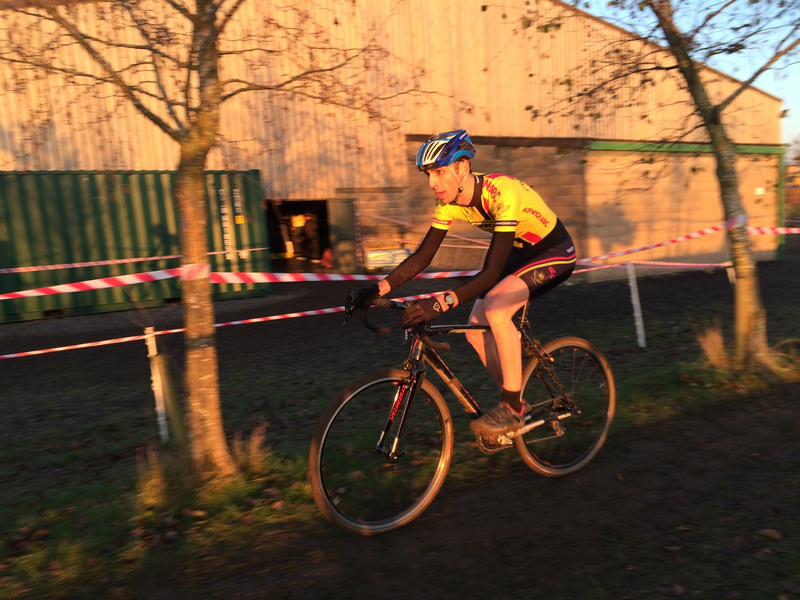 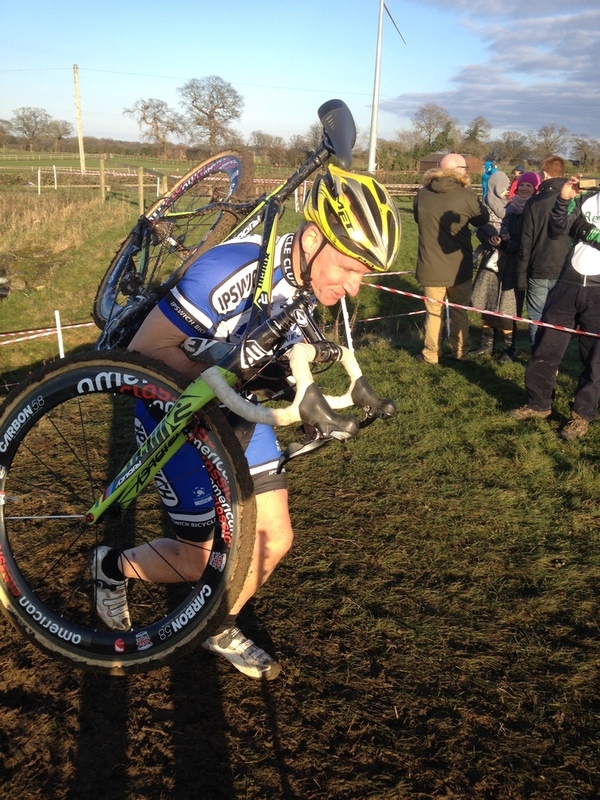 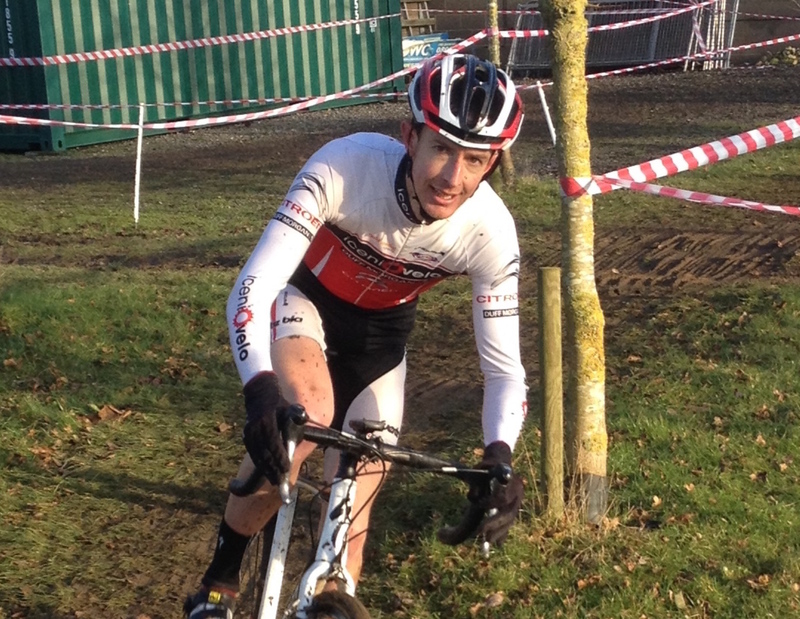 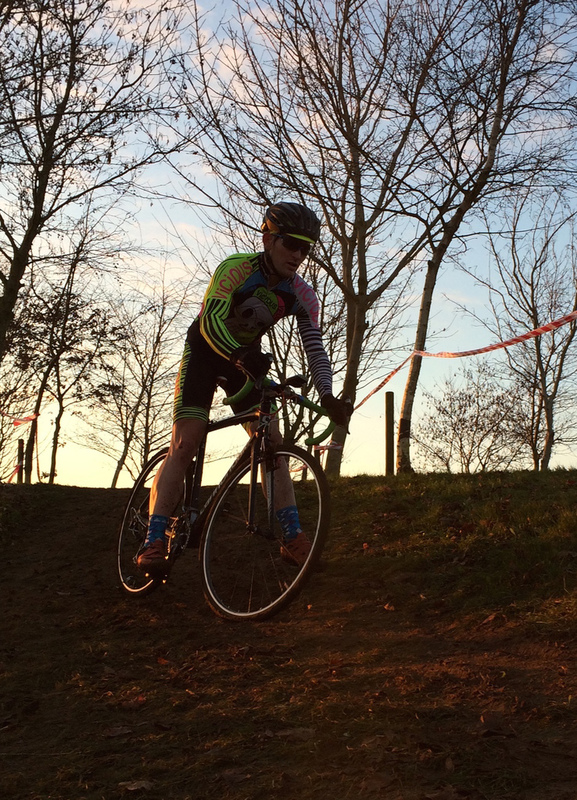 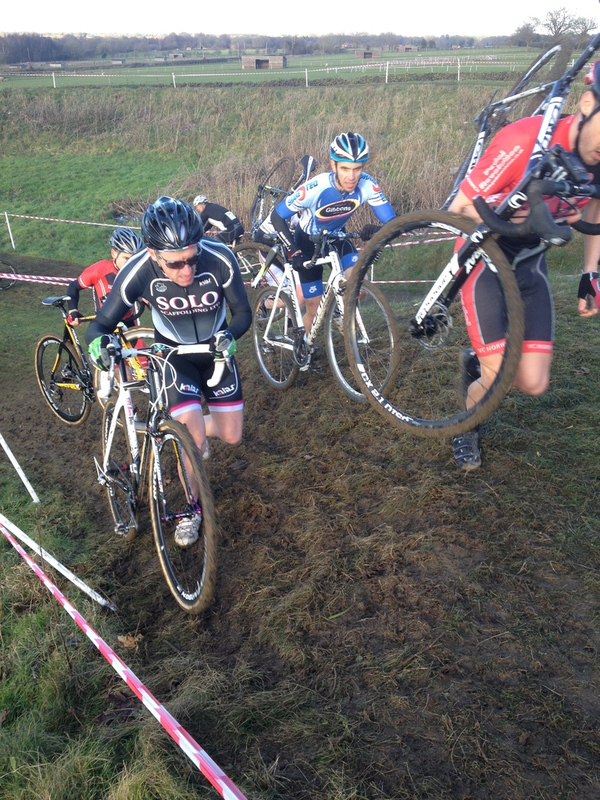 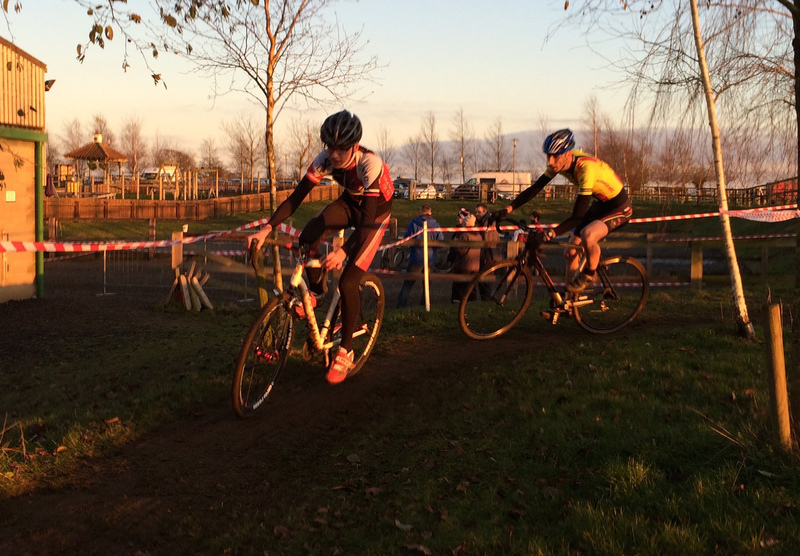 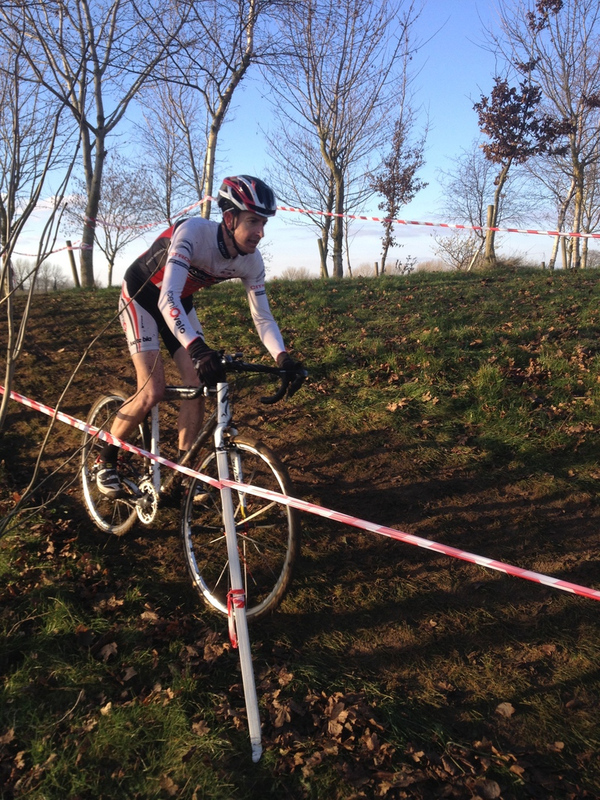 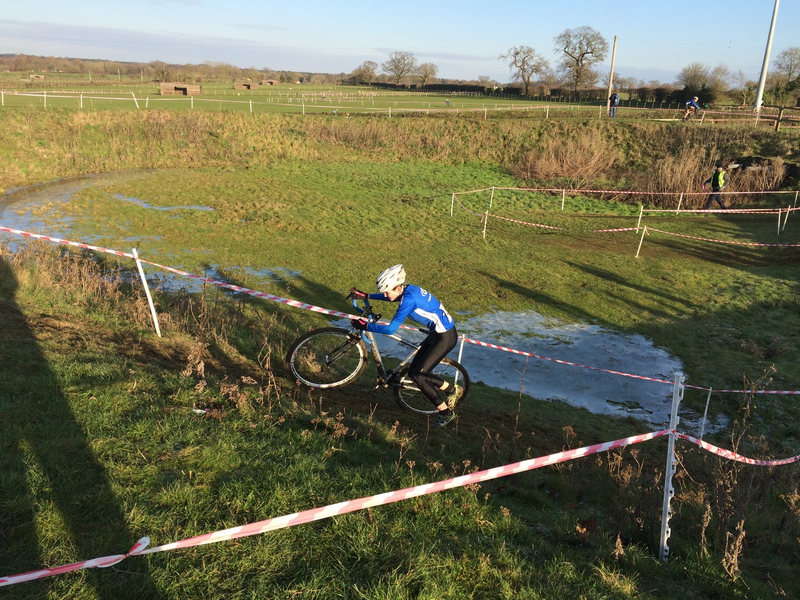 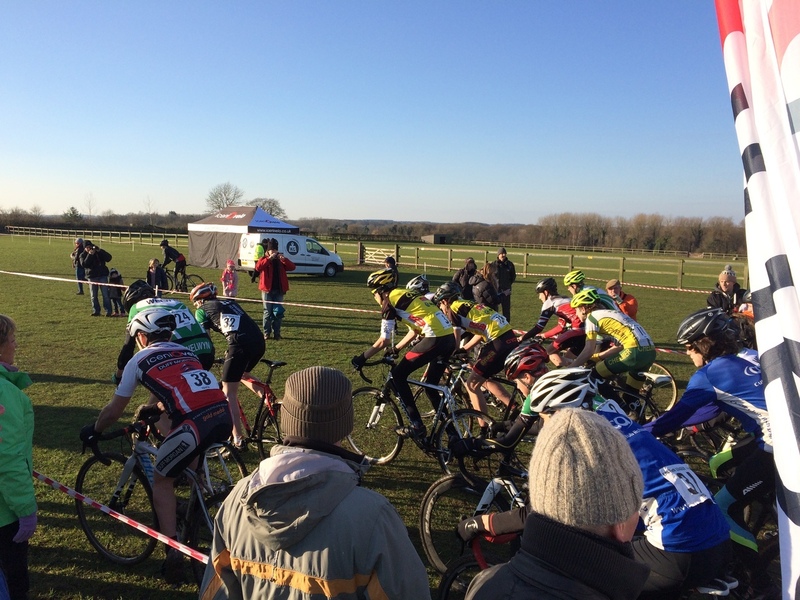 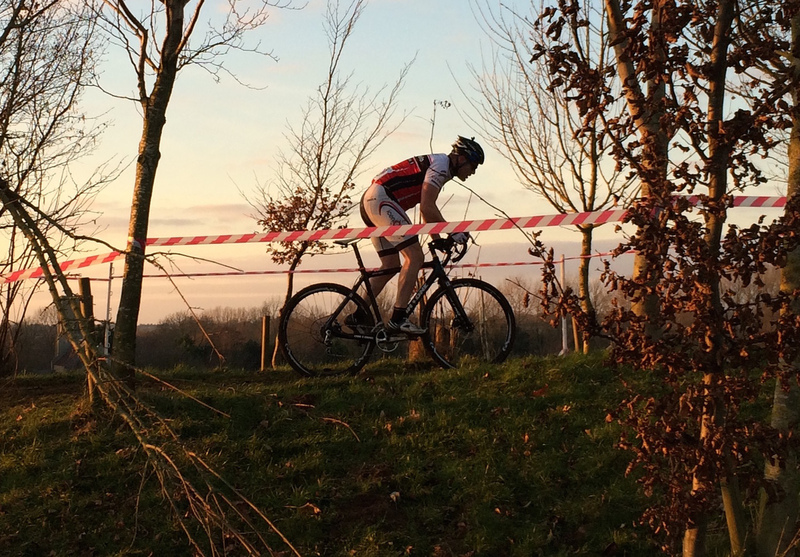 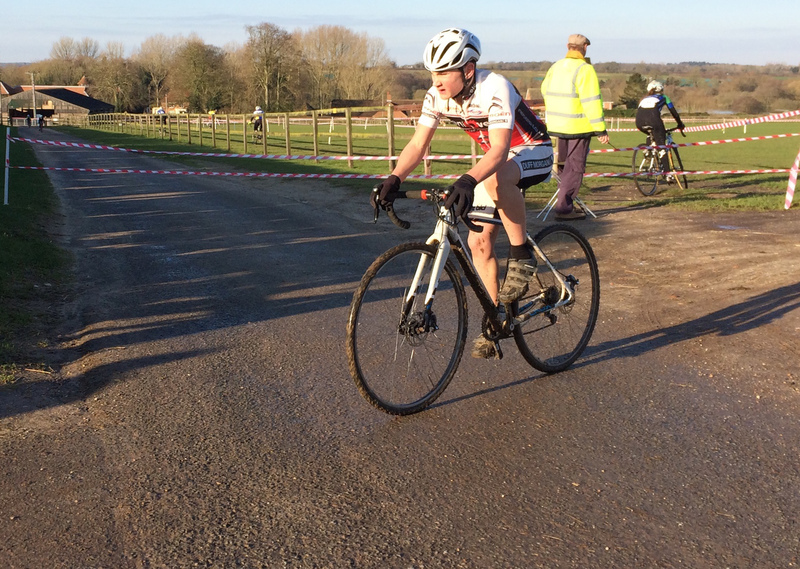 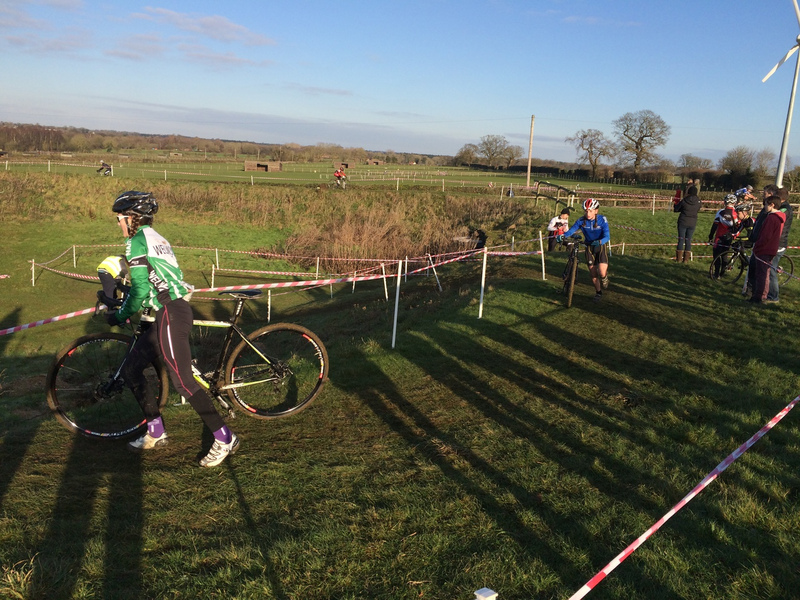 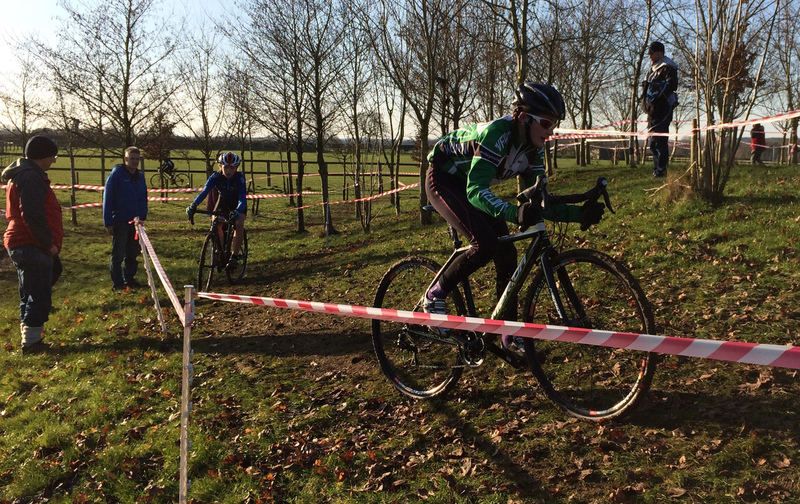 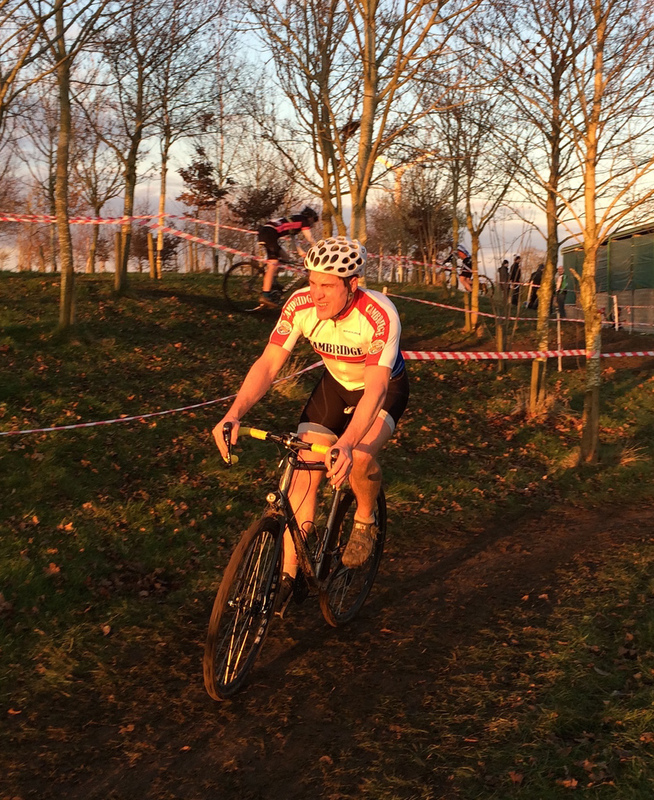 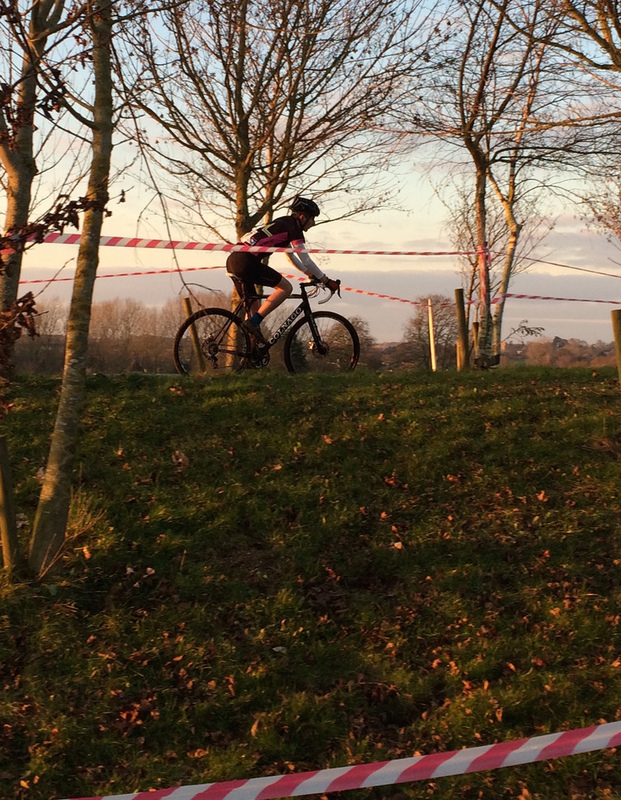 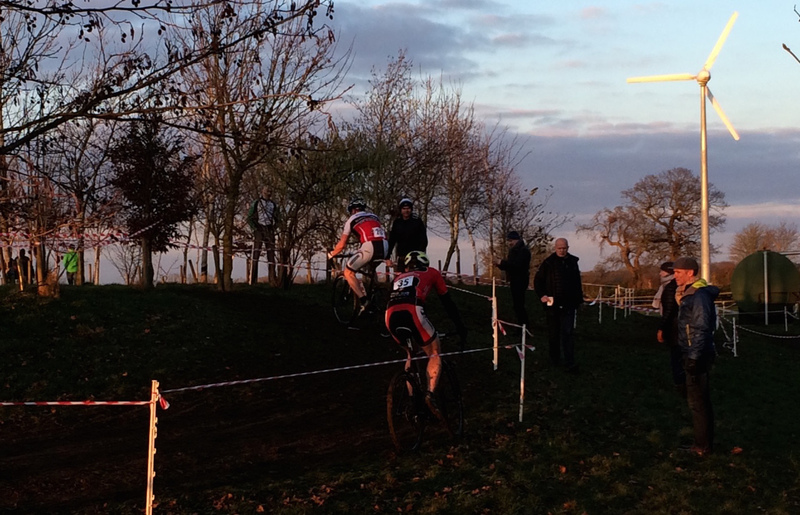 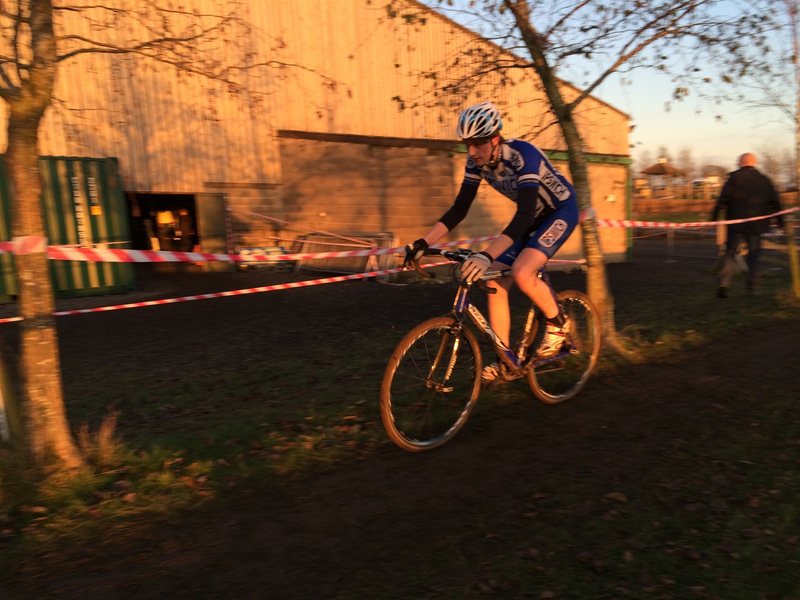 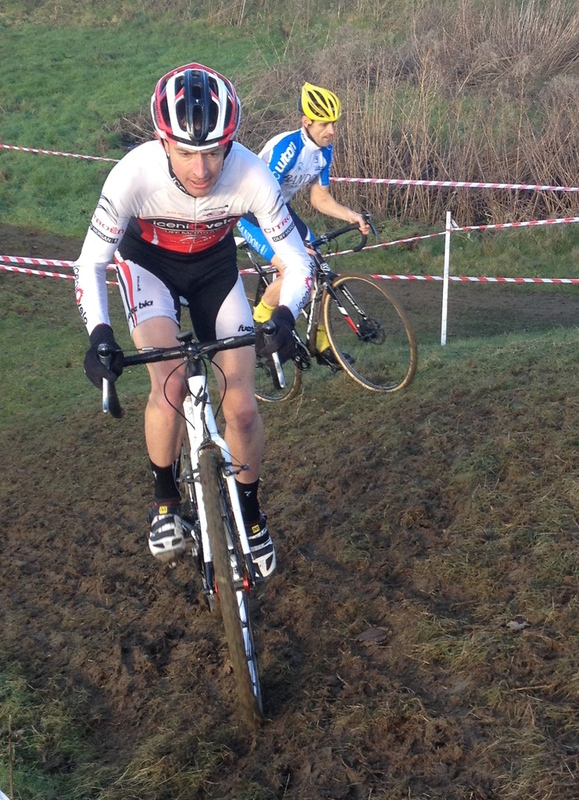 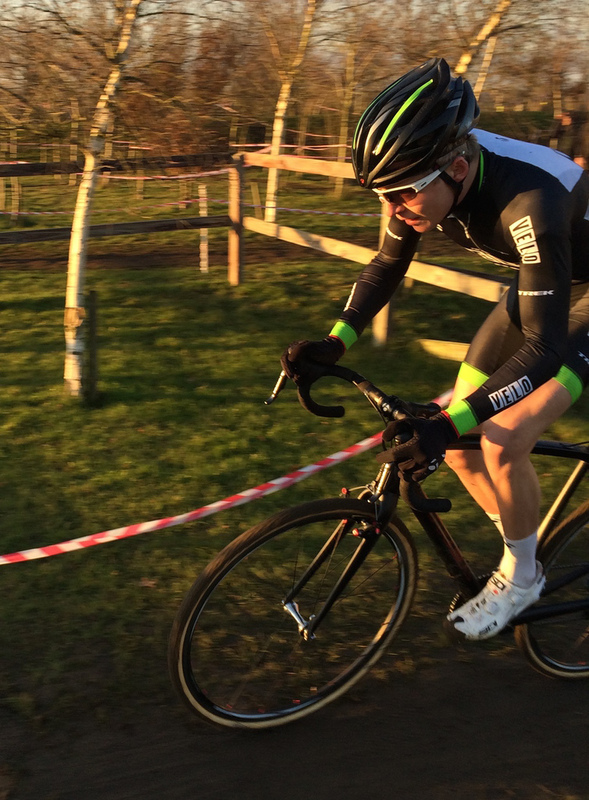 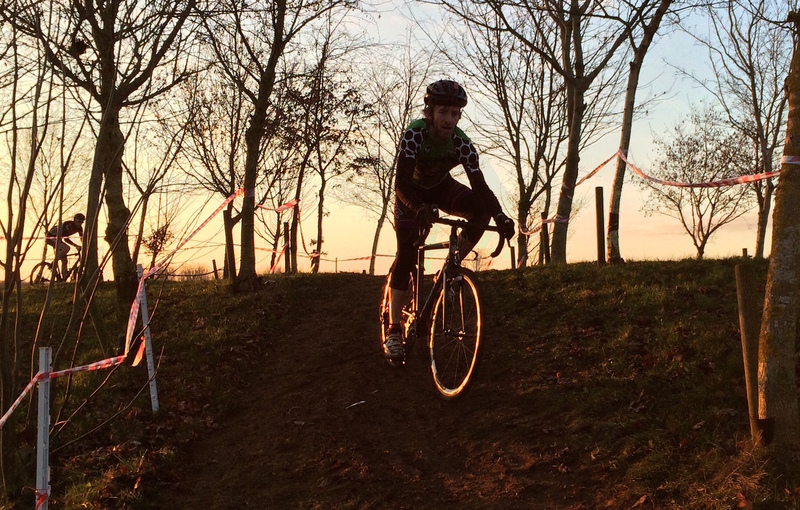 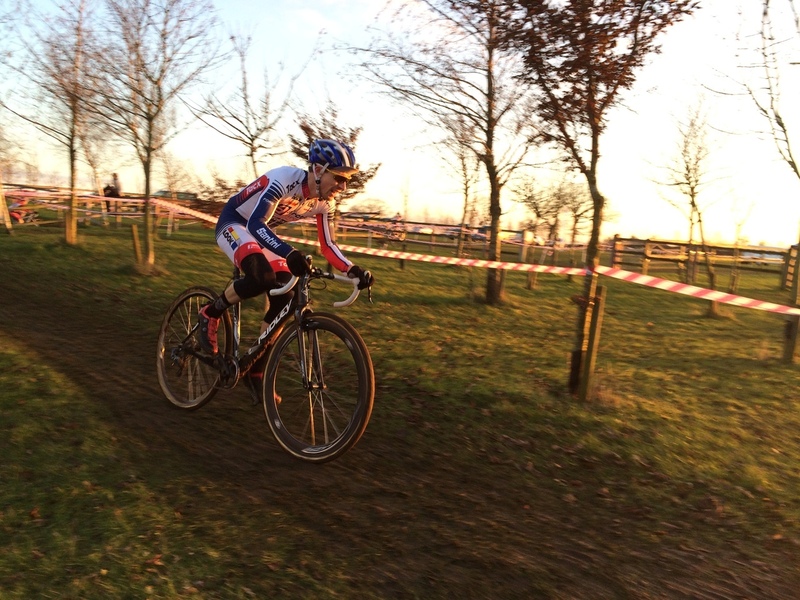 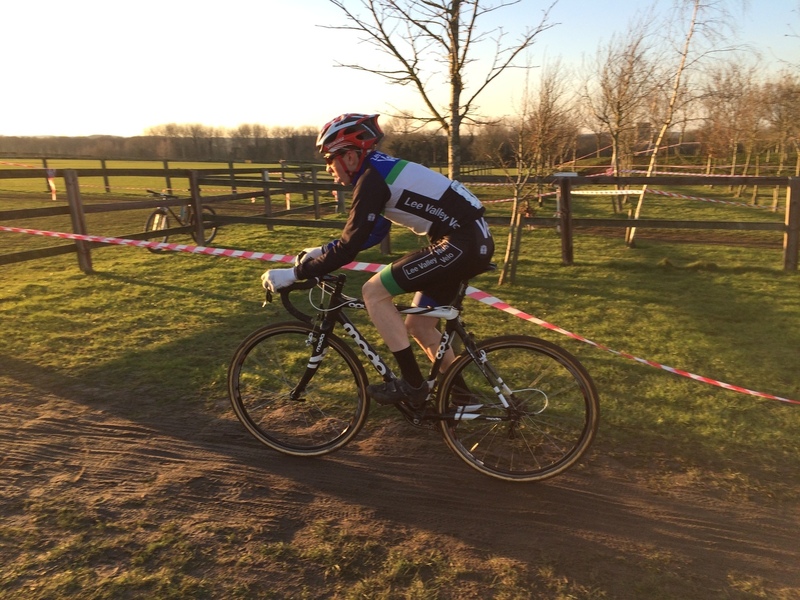 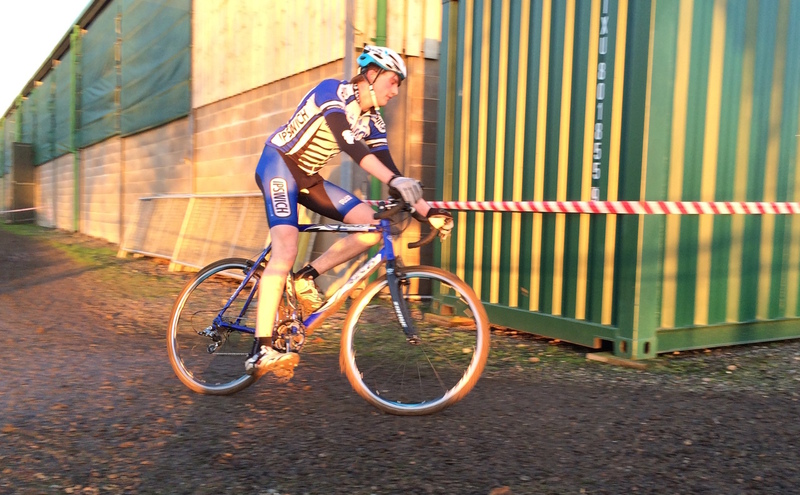 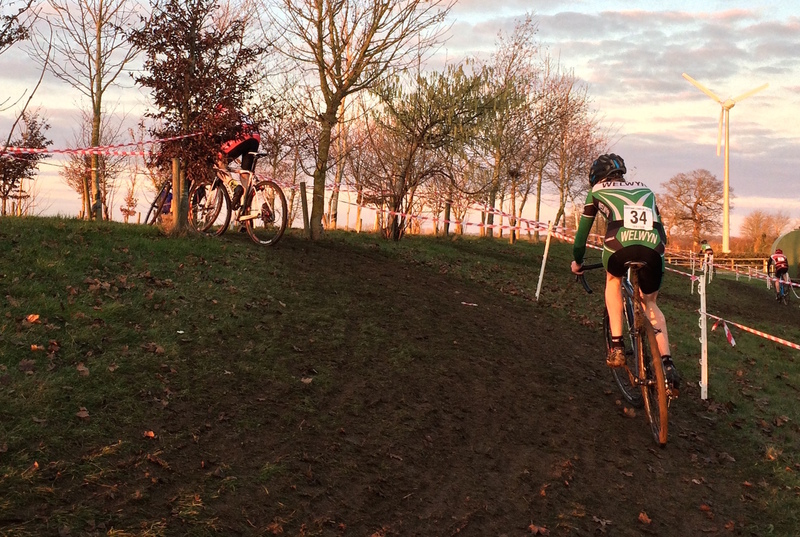 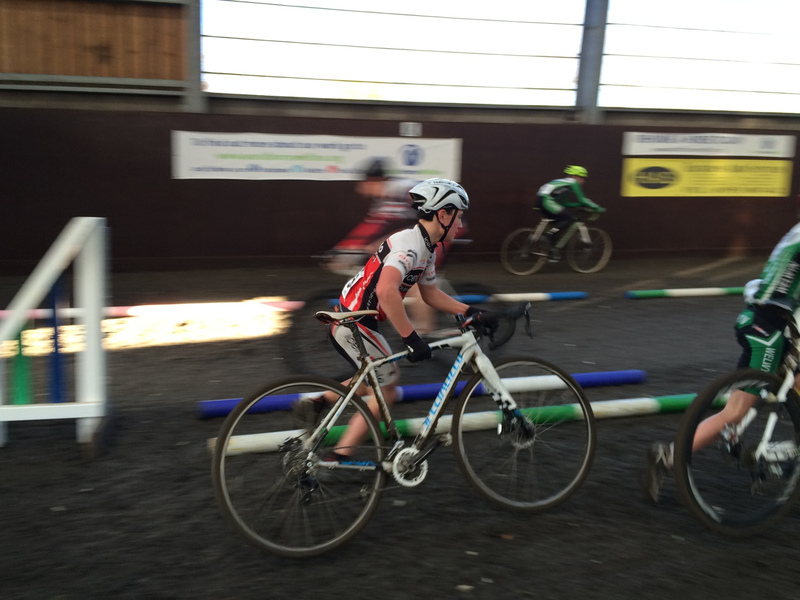 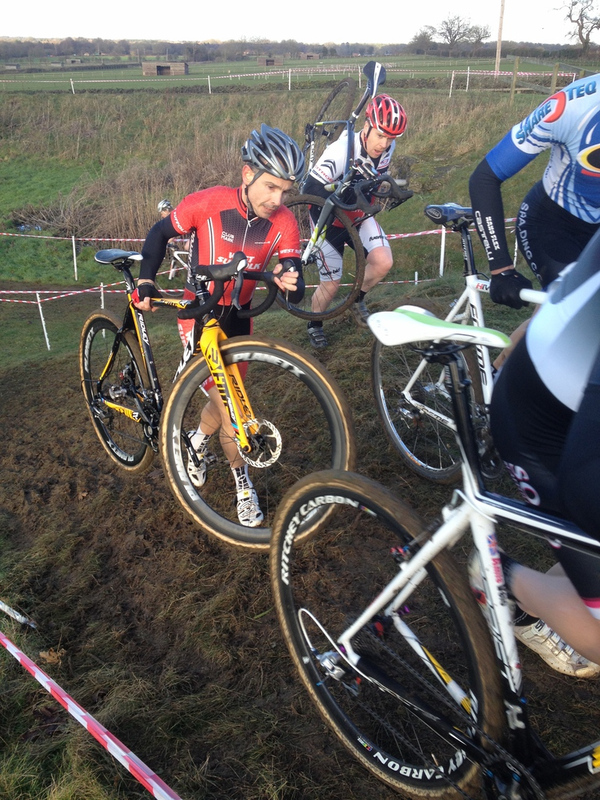 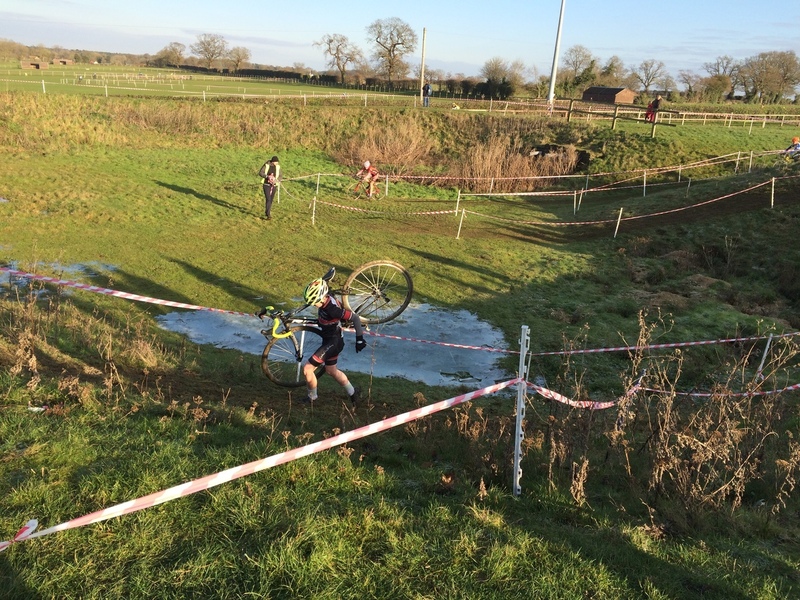 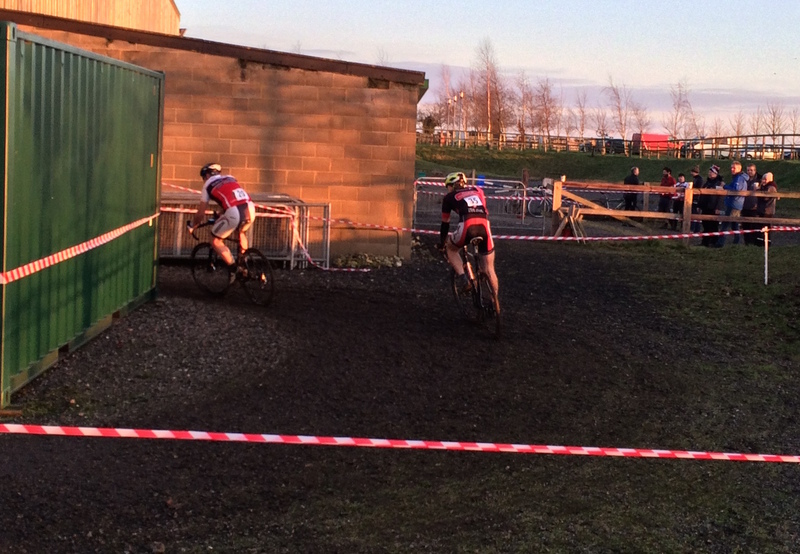 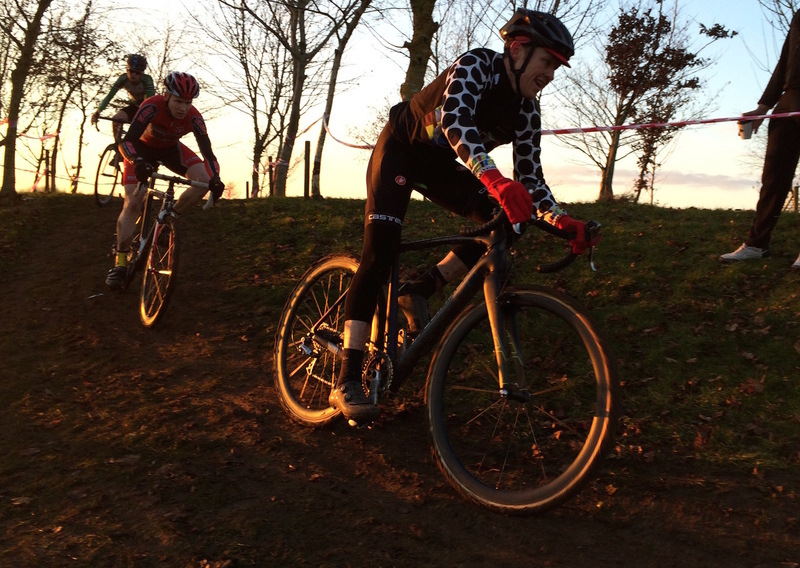 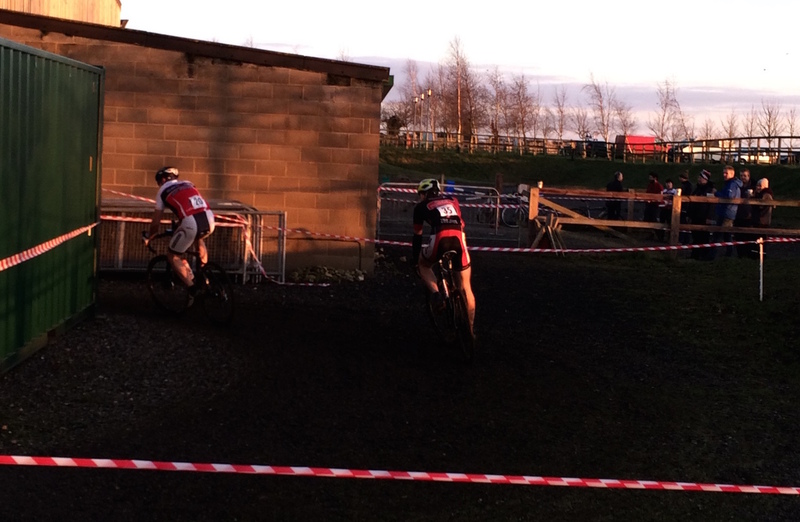 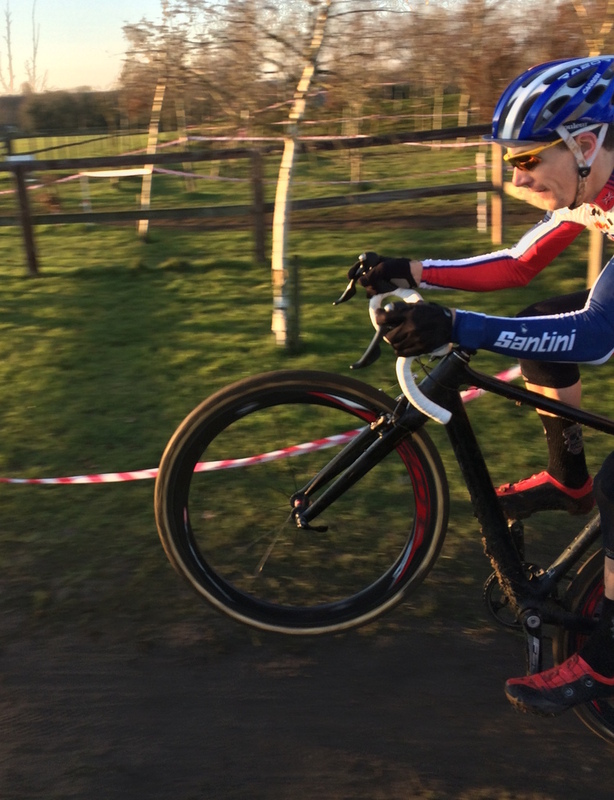 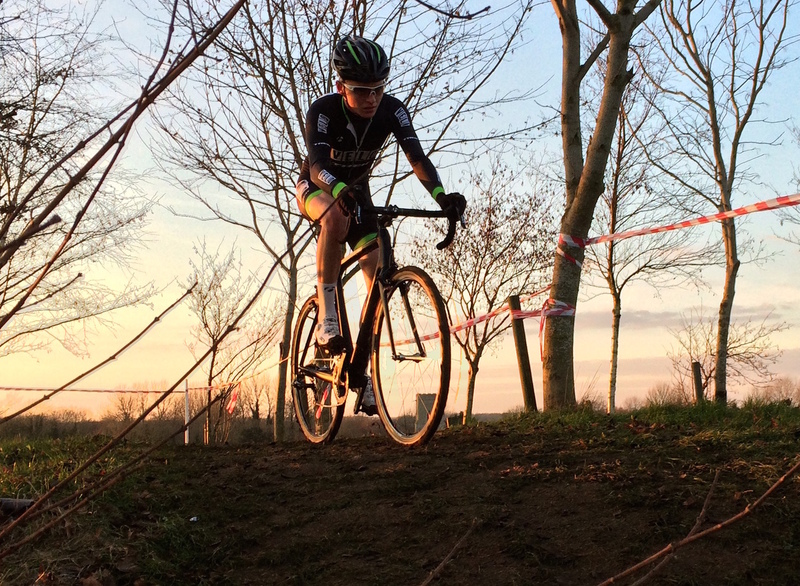 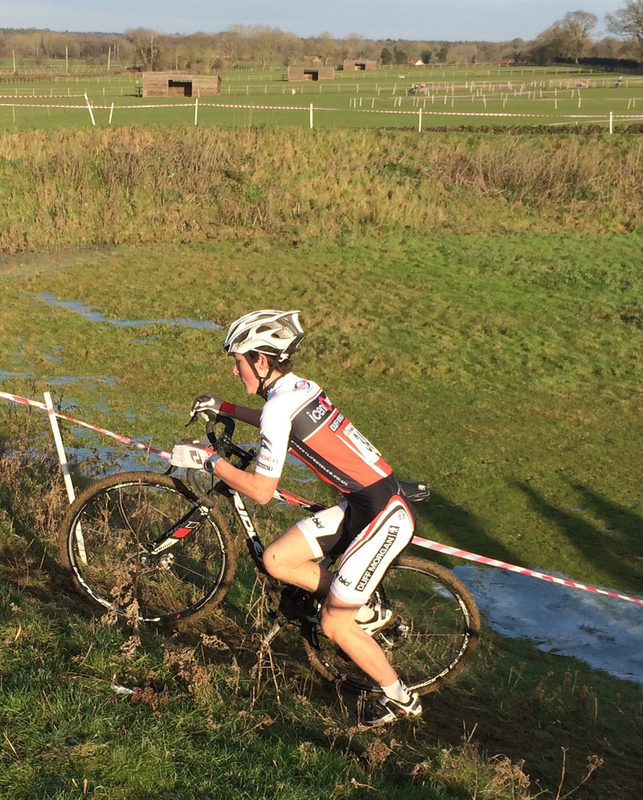 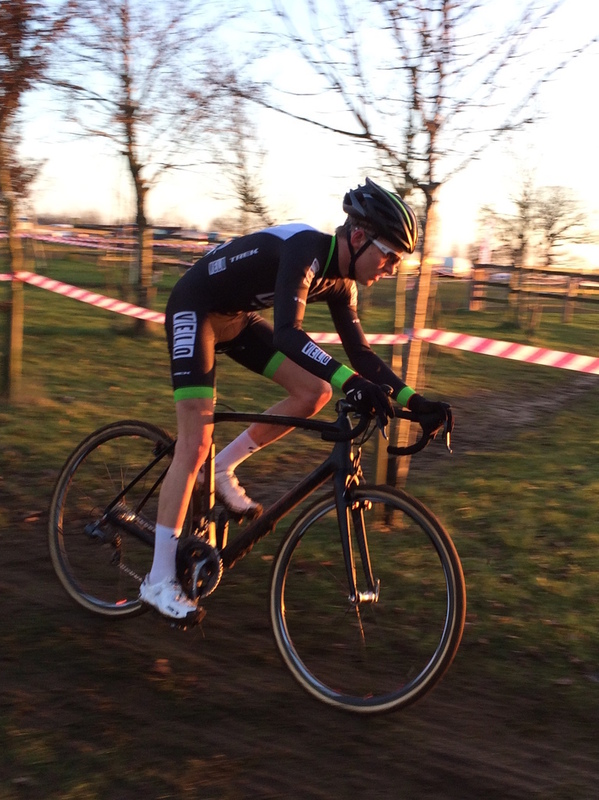 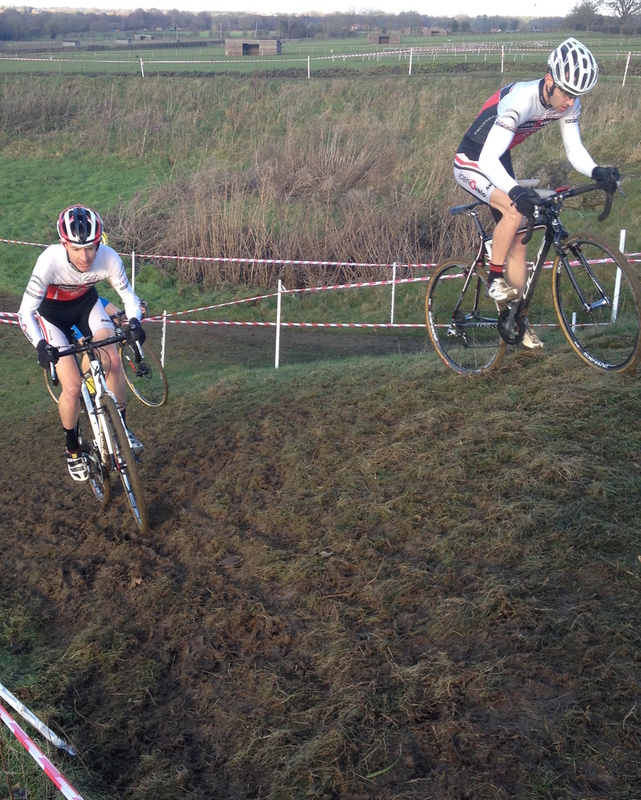 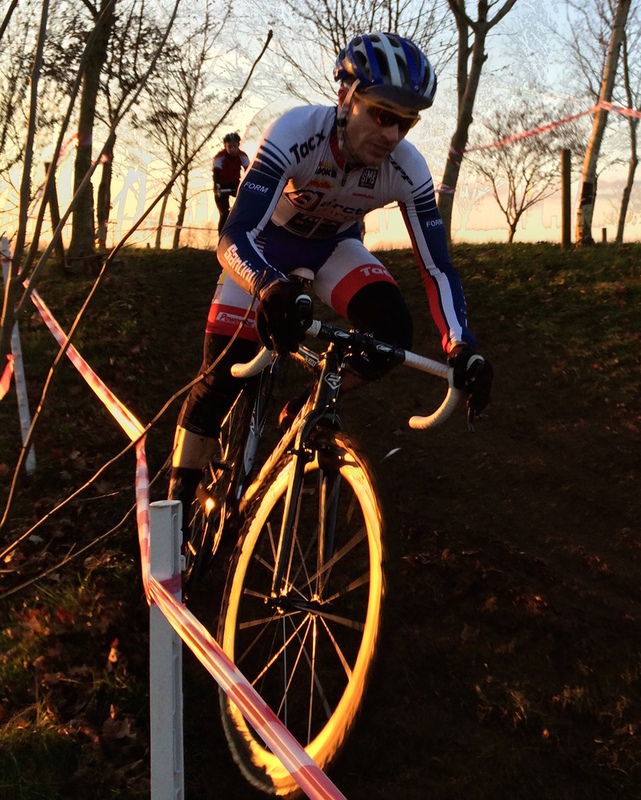 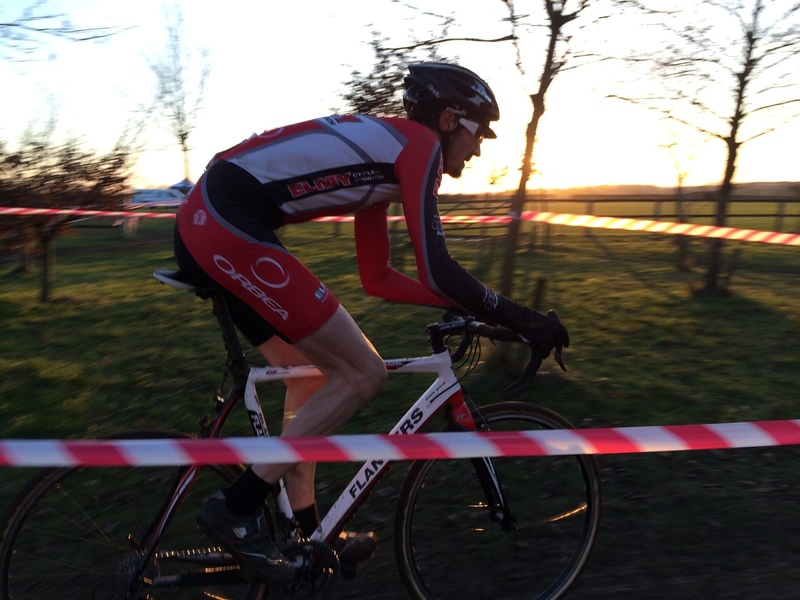 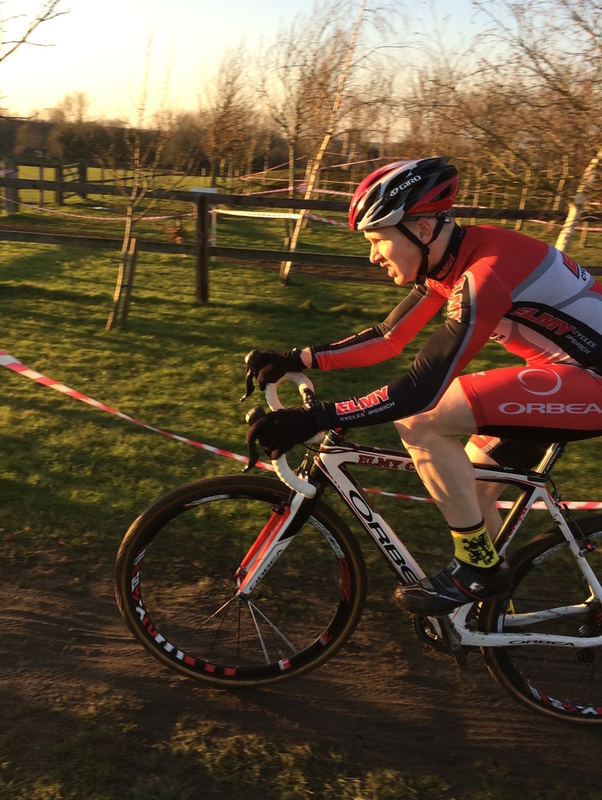 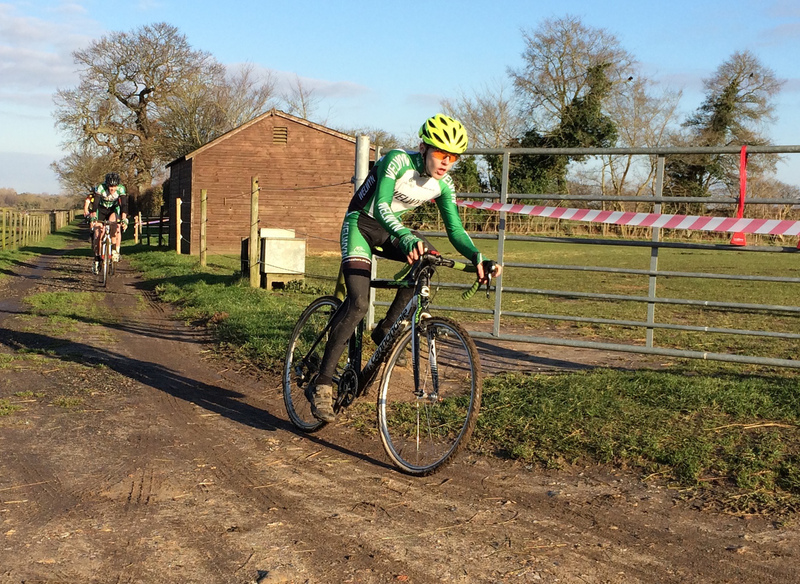 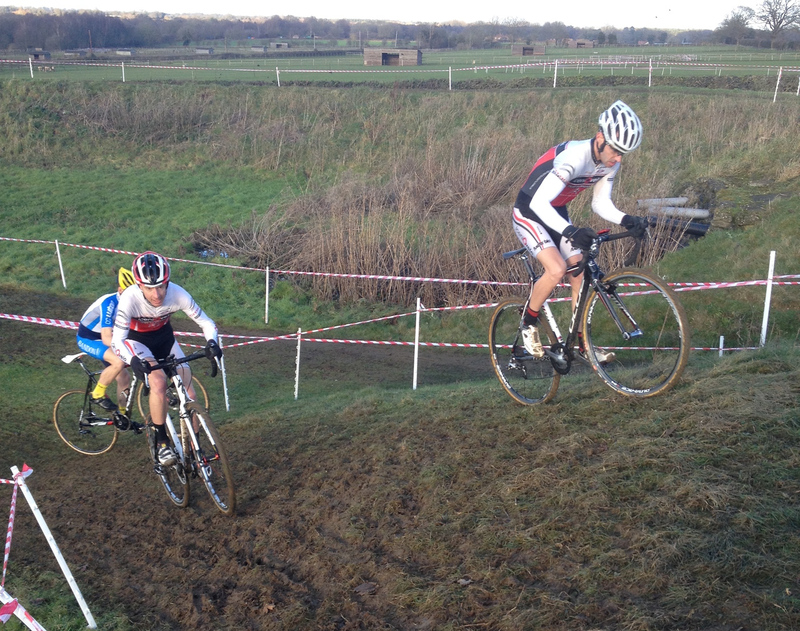 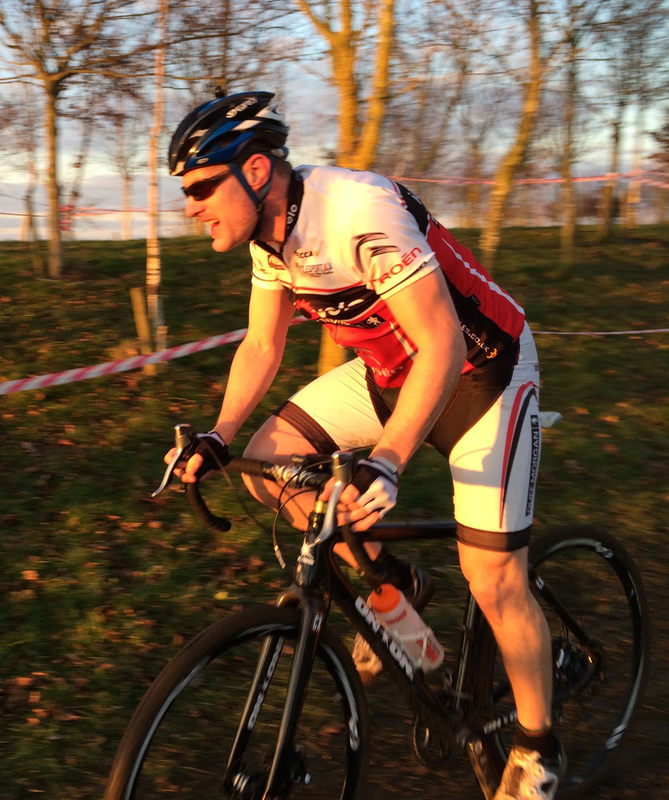 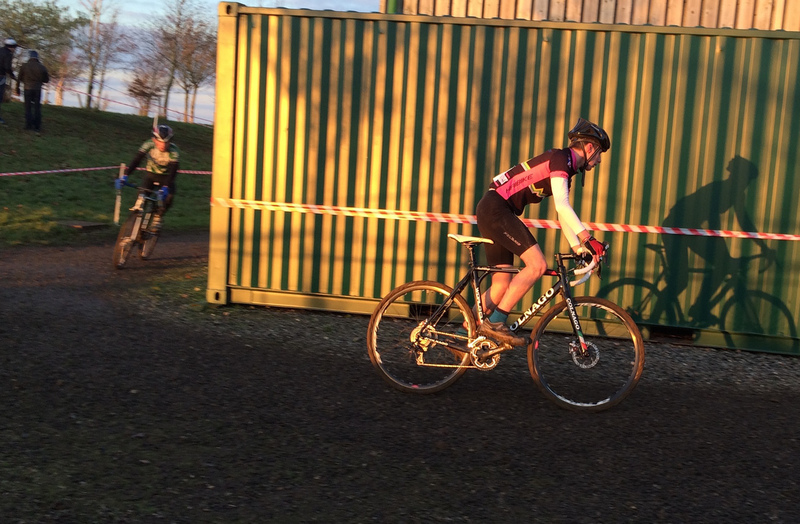 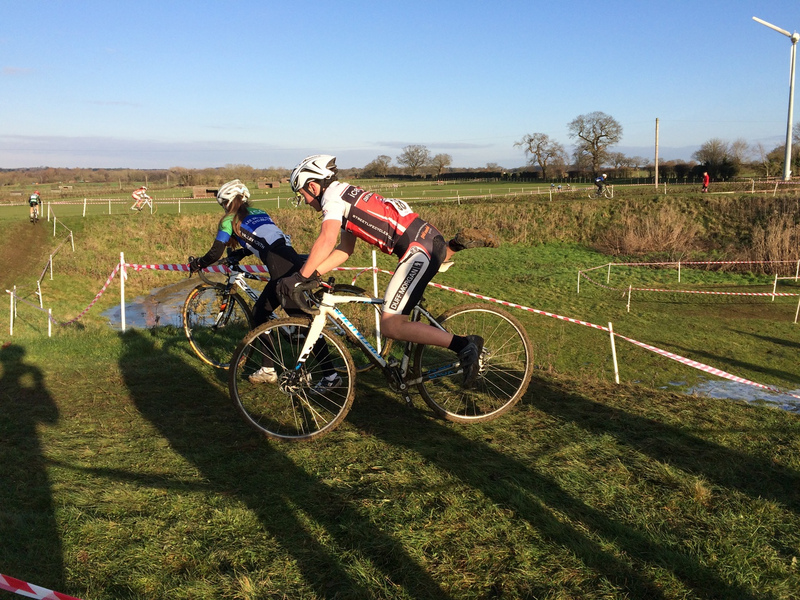 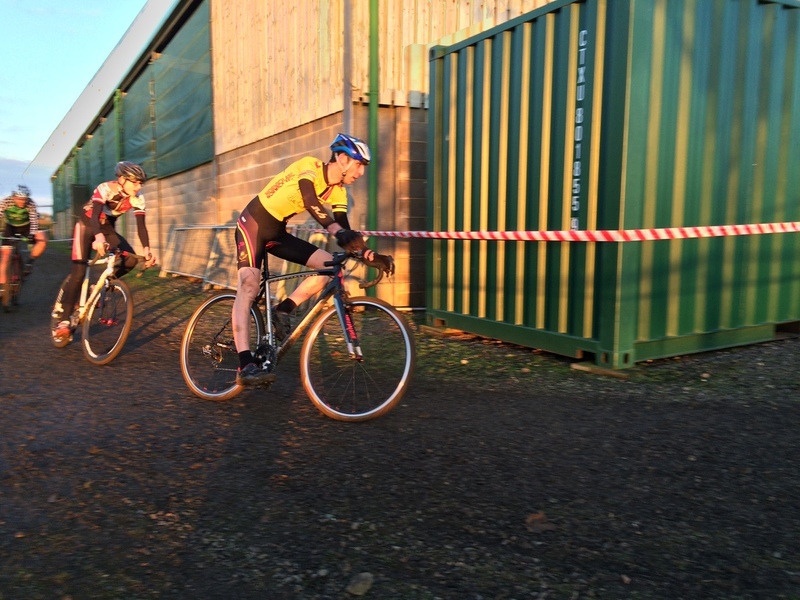 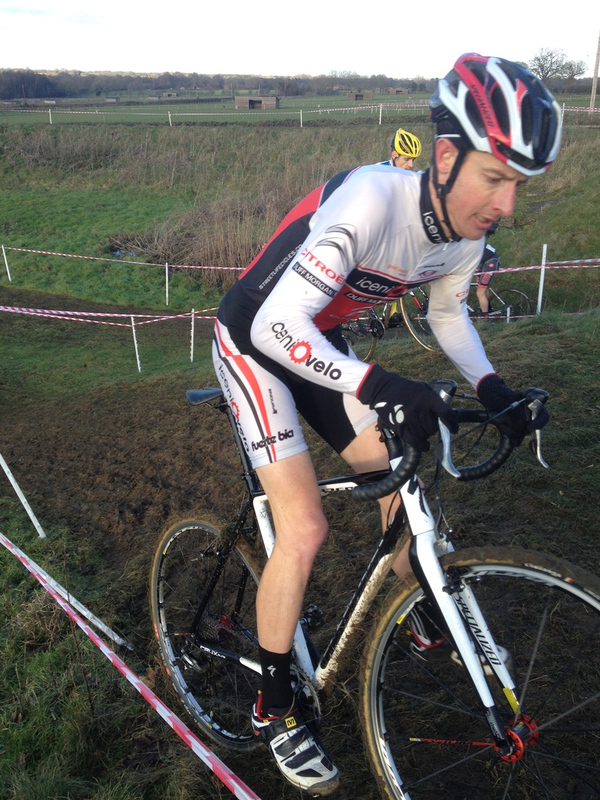 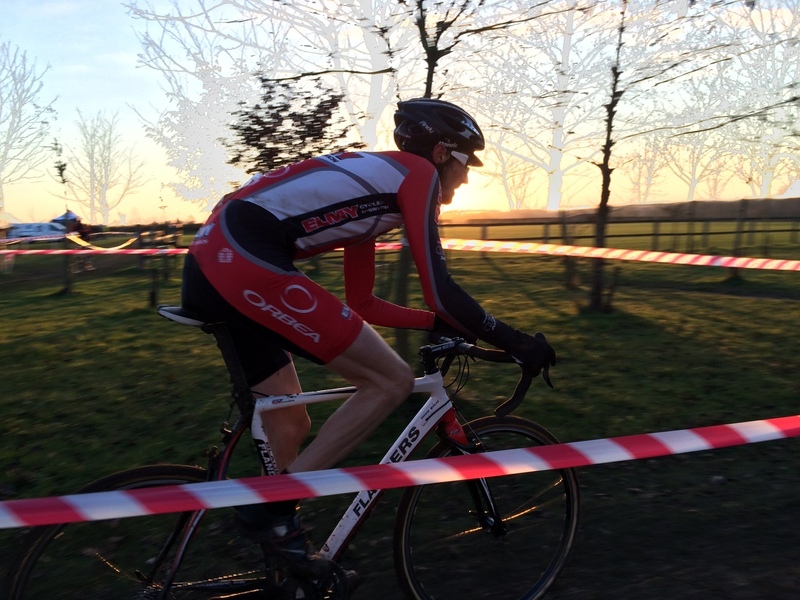 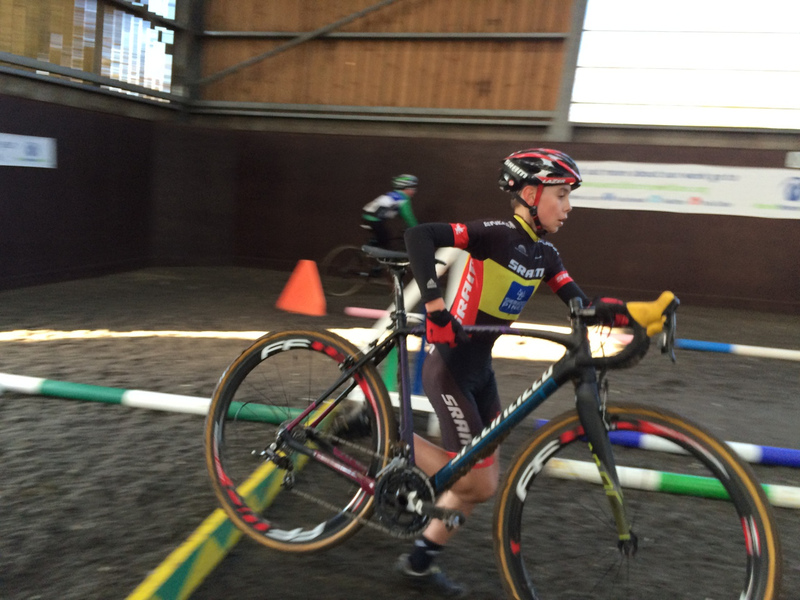 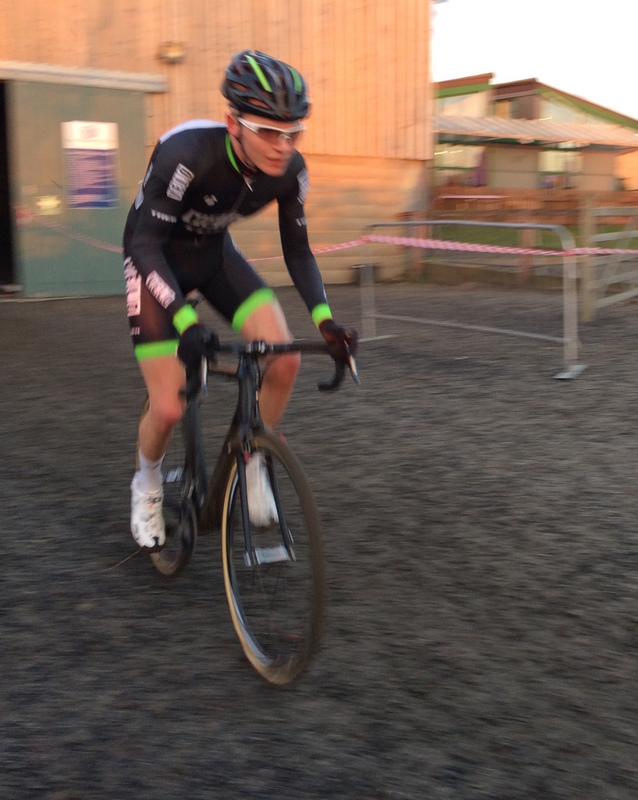 A race report by Fergus Muir is on the BC website: Chris Cross blows away Christmas cobwebs! 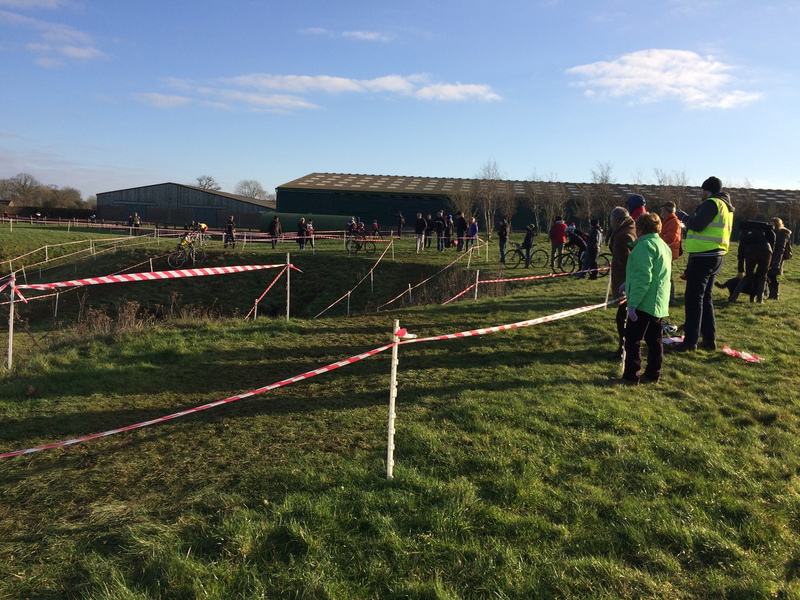 Excellent weather and reasonably firm terrain! 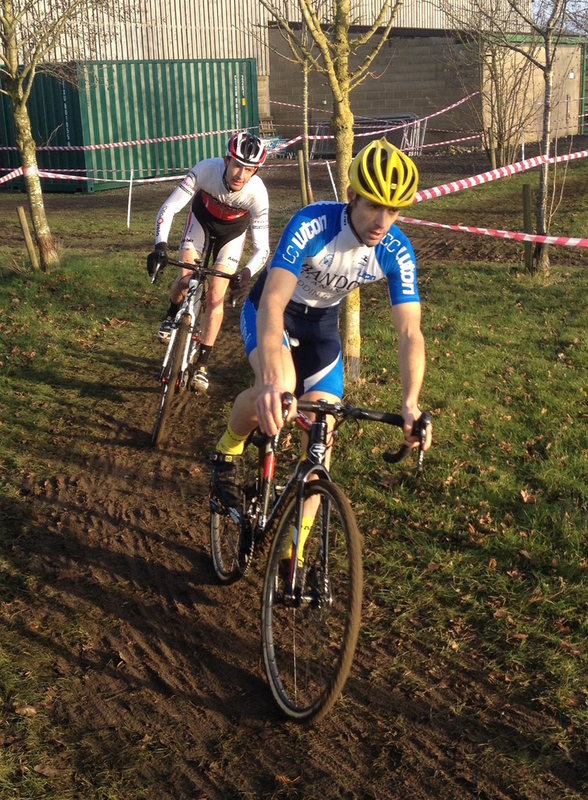 I finished 2nd in the 40-49 race, couldn't quite hang on to the leader. 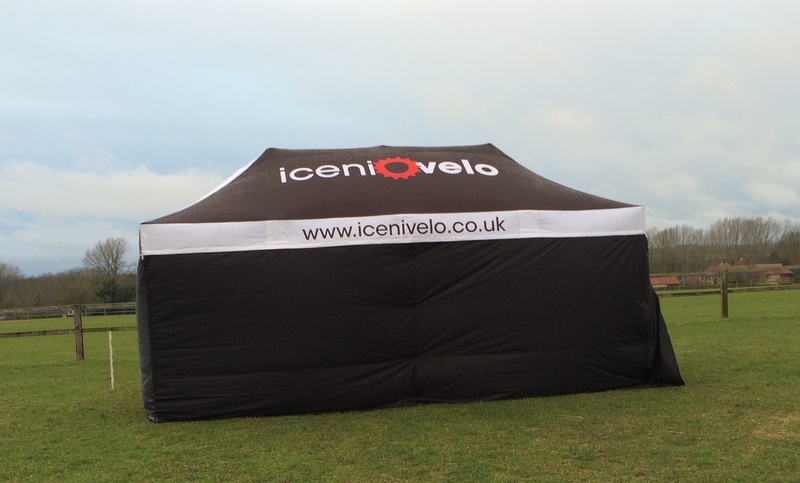 Iceni Velo Chris Cross: the gazebo!